Dr. Janis Andrews serves as a Learning Sciences International (LSI) District Lead and Leadership Specialist, consulting with school leaders in small, large, urban and rural school districts across the country. She has lead LSI work in the development of Demonstration Schools, increasing student achievement in Turnaround Schools, leadership development through Superintendent Academies and Side by Side Leadership Coaching. Dr. Andrews brings with her many years of experience in public education as a School Principal, Area Superintendent, Assistant Superintendent of Curriculum and Learning Support, Assistant Superintendent of Leadership Development, and Chief Academic Officer in a large School District which served over 174,000 students. 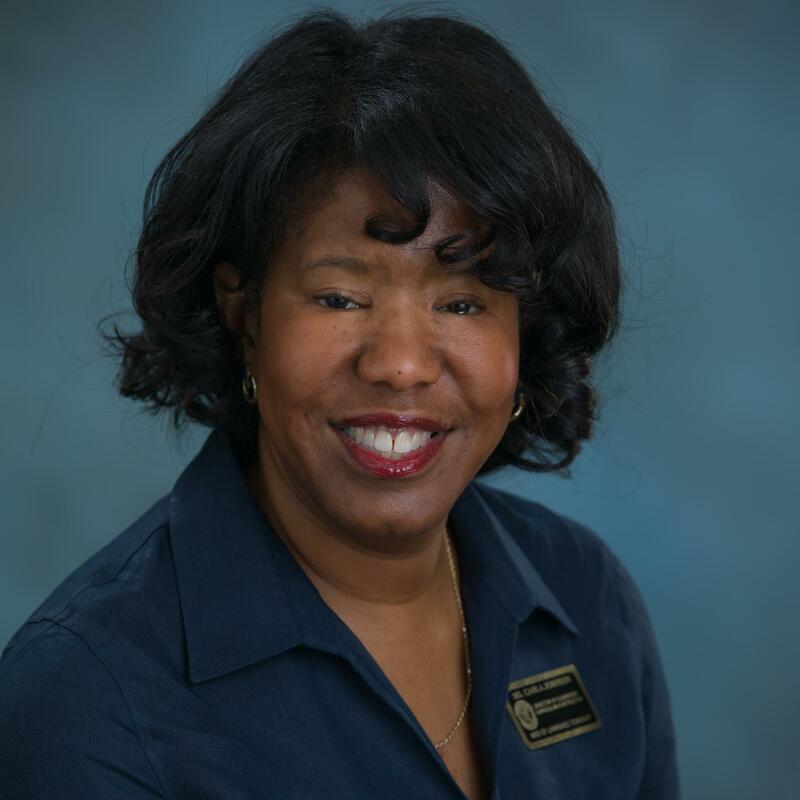 Dr. Andrews holds a Bachelor of Arts in Education from the University of South Florida, and she received her Masters, Specialist and Doctorate of Educational Leadership from Florida Atlantic University. Natalie M. Araujo currently serves as the Behavior Coach of Lakewood Elementary School in Pinellas County, Florida. She brings with her 6 years of experience in public education as an elementary teacher. She began her career as a 2nd grade teacher at Discovery Charter School in Philadelphia, Pennsylvania. Throughout the next 5 years teaching in Philadelphia, Ms. Araujo also served as a 4th grade teacher, Demonstration Teacher, Instructional Coach Grades K-8, and First Year Teacher Mentor. Ms. Araujo holds a Bachelors Degree in Sociology and Anthropology from West Virginia University and a Masters Degree in Teaching, Curriculum, and Instruction from Drexel University. Lindsey Devers Basileo, Ph.D., is a Senior Research Analyst with Learning Sciences International (LSI) in West Palm Beach, FL. She received her Doctorate in Criminology and Criminal Justice from Florida State University in December 2010. Dr. Basileo has over ten years of experience conducting social science research. Lindsey has been working at LSI since April of 2013. Her responsibilities include: conducting process and outcome evaluations of treatment programs implemented in schools across the nation; measuring and validating student growth metrics; and using mixed methods to provide formative data to schools and districts on program performance which includes analyzing data from walkthroughs, observations, and incorporating findings from a multitude of surveys. Prior to working at LSI, she worked as an onsite consultant for the Bureau of Justice Assistance (BJA), Office of Justice Programs, U.S. Department of Justice where she advised senior management, responded to Congressional inquiries, defined and analyzed performance metrics for strategic planning initiatives, and analyzed and presented data in GrantStat to assess program performance and compliance. 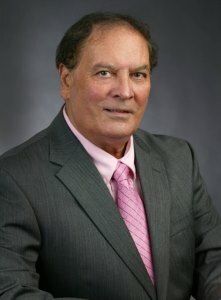 In addition, Dr. Basileo was the Project Manager at the Justice Research Center for several evidence-based research initiatives for the Connecticut Court Support Services aimed at rehabilitating troubled and at-risk youth. Her research interests include school improvement, evaluation, statistics and survey development and administration. 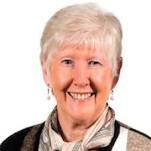 Rita M. Bean, PhD, is professor emerita of the University of Pittsburgh, Department of Instruction and Learning. For over twenty-five years, she taught students preparing to be reading specialists and served as director of the Reading Center. Prior to joining the university, she taught at the elementary level and served as reading coordinator (K–12), the role which stimulated her interest in coaching to support teacher professional learning. Bean has focused her research on the role and impact of reading specialists and literacy coaches in schools. She served as co-director of a large-scale evaluation study of a literacy initiative in Pennsylvania that included coaching as a major approach for professional learning. She has also participated in several national studies that have resulted in position statements about the role of reading specialists and literacy coaches (International Literacy Association). She received her bachelor's degree from Edinboro University of Pennsylvania and her master’s and doctorate degree from the University of Pittsburgh. Bean received the University of Pittsburgh’s Distinguished Teacher Award and the Chancellor’s Distinguished Service Award for her community and outreach efforts to improve literacy. In 2009, she was elected to the Reading Hall of Fame and is currently serving as its president. 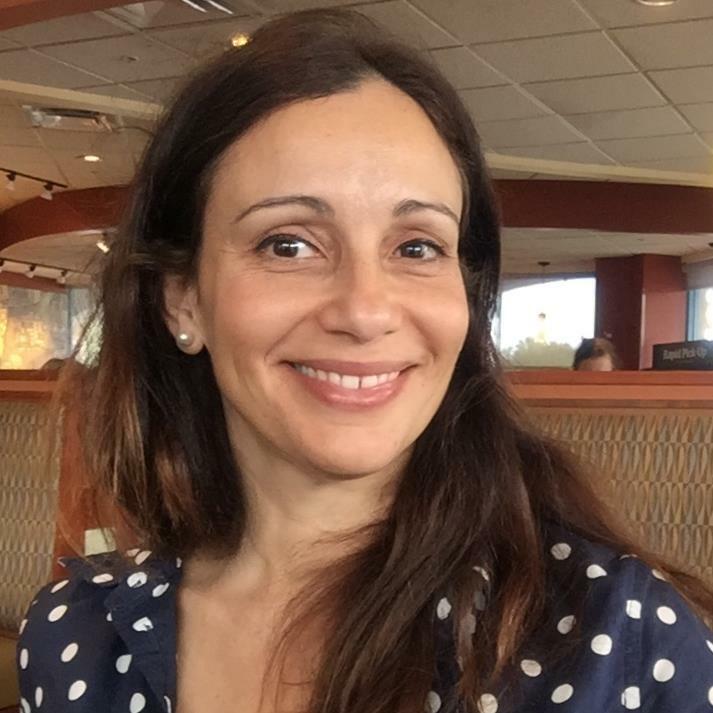 Dr. Melissa Bloom serves as the Learning Sciences International (LSI) Marzano Center Practice Area Leader. She brings over 20 years of experience in public education as a Teacher, Regional School Improvement Coach, School Principal, and Assistant Superintendent for Curriculum and Personnel. She has extensive professional development experience and has taught continuing teacher education courses for Quincy University, provided ongoing support for many K-12 districts, and has presented for various state conferences. Her extensive background serving Title 1 buildings solidified her passion in helping all schools realize increased student success. She believes in empowering teachers and leaders through research-based instructional and evaluation models. 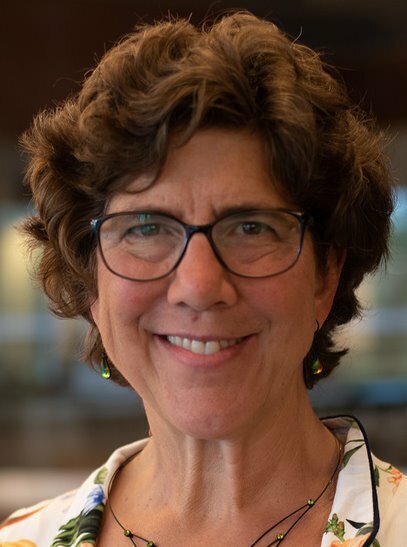 Dr. Bloom holds a Bachelor of Arts in Education and a Master of Arts in School Leadership from the Bradley University, a Specialist degree in School Leadership from Western Illinois University, and a Doctorate in Education from Aurora University. 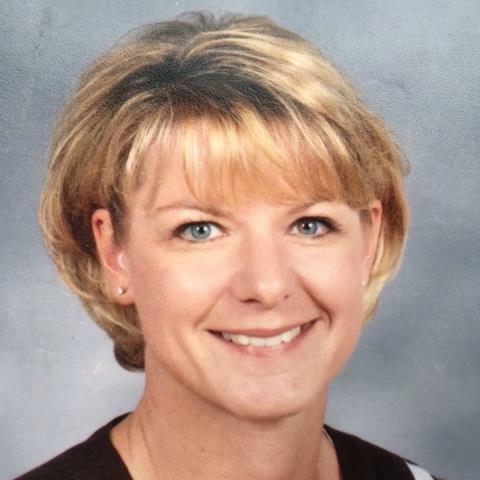 Tracy Bollinger’s 20+ years in education as a knowledgeable instructional leader and dynamic classroom teacher led to her career as a School Leadership Coach with Learning Sciences International. 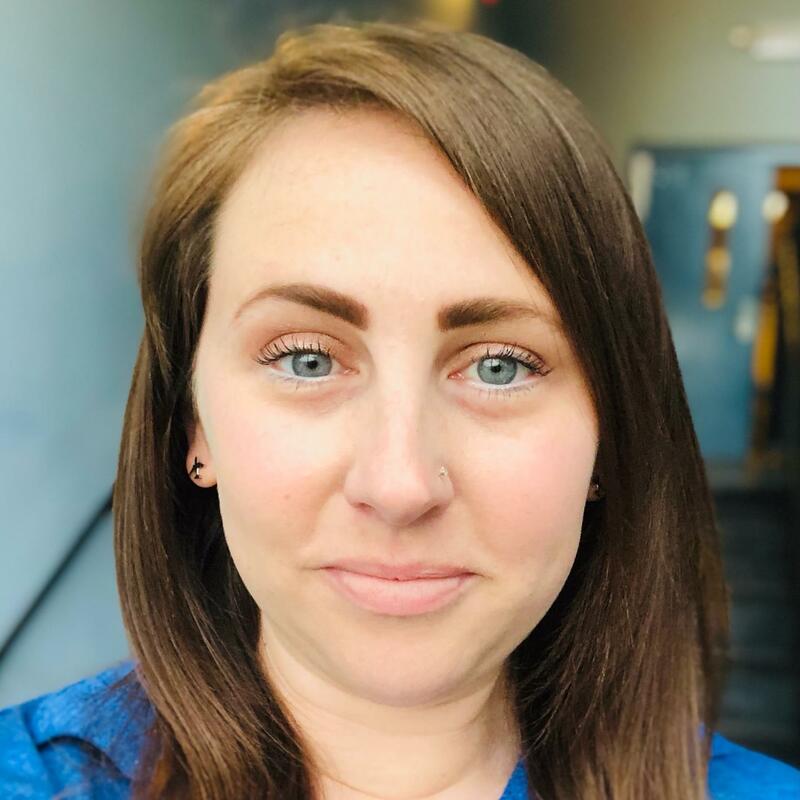 Ms. Bollinger has been part of school improvement planning, curriculum writing, district-wide professional development, and instructional coaching in Pennsylvania districts. Principal and Leadership Coaching to increase student achievement and teacher growth are her passion and areas of focus. Her guidance of administrators to become instructional leaders while working with Demonstration and Turn Around Schools across the country, has been very successful in helping teachers and leaders develop strong pedagogical practices, leading to increased student achievement. both Title 1 and non-Title 1 schools. She is ESOL and Gifted endorsed and has designed common planning curriculum to help integrate science into all subject areas. 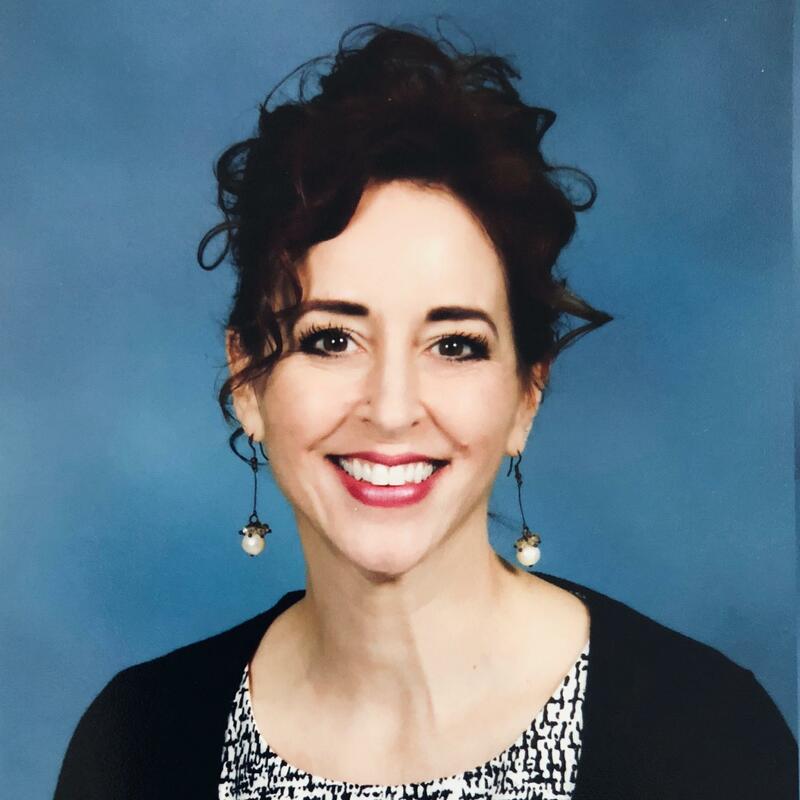 As an experienced teacher leader, Mrs. Burton is passionate about helping educators grow in their expertise and instructional practices and is known for creating learning experiences that empower and inspire teachers to provide more effective teaching for all learners. She is an LSI Standards Tracker power user, and as such, she mentors new users within her school. She is also Google certified and is a Trailblazer for technology at her school. Mrs. Burton earned her bachelor’s degree in liberal arts from Kutztown University of Pennsylvania. 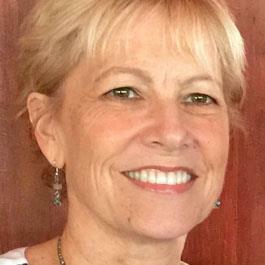 Elizabeth Buzzanca is a faculty coach at Learning Sciences International. She has over 15 years of education experiences. Most of these years were spent in South Florida schools. She has served as a teacher, curriculum programs coordinator, instructional coach, and dean of students in public and charter schools. She has a passion for project-based learning and deep experience in science and STEM education. Her commitment is to student achievement and strongly believes that every child can succeed. She is committed to helping educators perfect their professional practices and lead students into achieving excellence. Elizabeth Buzzanca holds a Masters degree in Educational Leadership from Barry University in Miami Gardens FL, and a B.S. degree in Education from Marian College of Fon du Lac, Wisconsin. 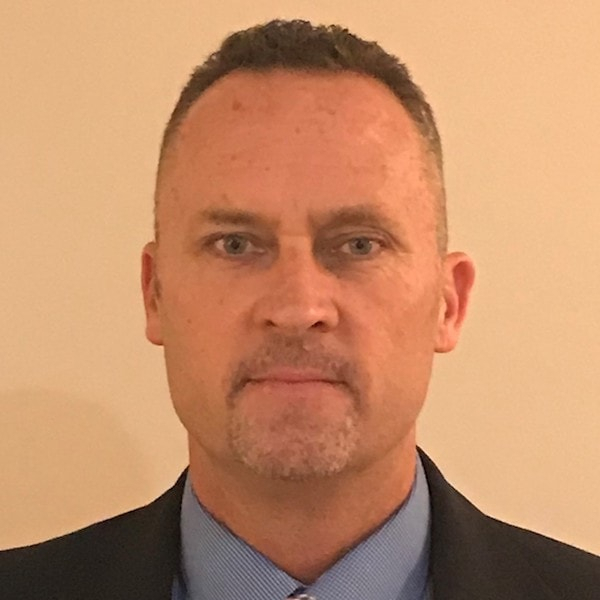 Phil Carr serves as a Learning Sciences International (LSI) District Lead and Professional Developer, providing coaching, consulting, and professional learning to school leaders across the country. He leads LSI work in the development of Demonstration Schools and increasing student achievement in Turnaround Schools. Phil is a dedicated educator with over 29 years of experience in a variety of school and district settings. He has served as a Teacher, School Principal, and Coach to Principals and their Supervisors. Betsy Carter, PhD, is a seasoned educator with 35 years of experience as a teacher and K-12 administrator. Her teaching experience includes classrooms K-5 and math at the middle school and high school levels. She has a strong passion for teacher effectiveness and student success. Dr. Carter received her doctorate in organizational leadership from Miami University of Ohio, where she also served as a visiting assistant professor in the teacher education department. She became a regional consultant with an educational service center in Ohio where she provided professional development and leadership in a variety of areas including standards, assessment, professional learning communities, school improvement, and leadership development. 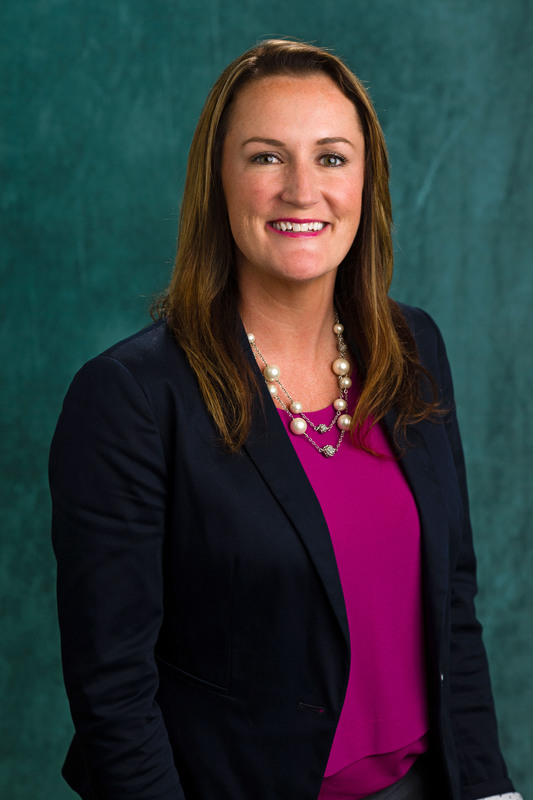 Prior to her work with Learning Sciences International, she was an assistant superintendent in a small urban district that implemented the Marzano instructional framework amidst a school improvement initiative. In her current position, Dr. Carter has worked as a staff developer, content developer, and in research and development. With more than 18 years in the field of education, Gail Charles-Walters has served as a classroom teacher, curriculum specialist, assistant principal, special assistant to the superintendent and campus principal. Under her leadership as principal, her campus rose from low performing to a school of excellence, thereby achieving the highest academic status awarded by the state education agency. She has a passion for teaching and learning and truly believes that the future of our economy depends on the quality of the education provided to students daily. She is committed to helping teachers increase their pedagogy and deepen their content knowledge to improve instruction and increase student achievement, and helping administrators to become instructional leaders and build and sustain a culture of high performance and excellence. Mrs. Charles-Walters is currently pursuing her doctorate in Educational Leadership from Florida Atlantic University. 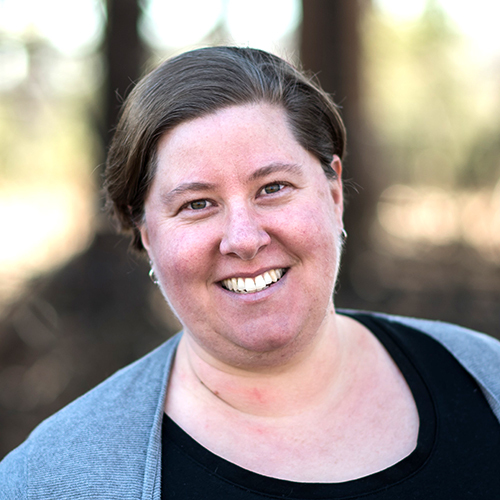 Megin Charner-Laird is an associate professor in the School of Education at Salem State University, Salem, Massachusetts, where she also serves as the Lead Faculty for Assessment. 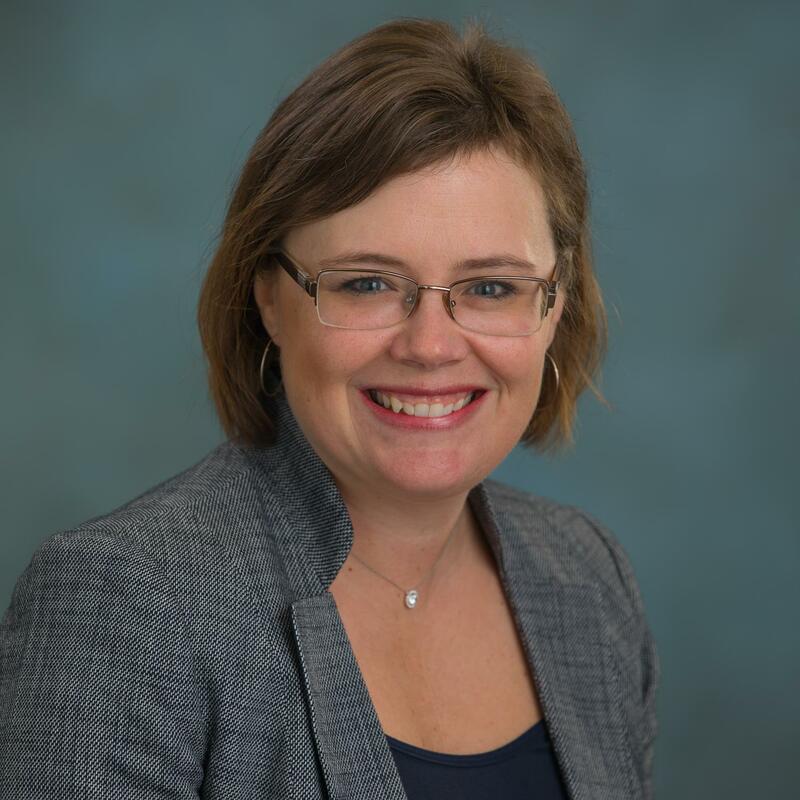 Megin’s research and teaching focus on the ways that teachers learn and grow as professionals, how they respond to policy enactment, and how teacher leadership can serve as a lever for improvement in classrooms and schools. Megin’s work puts teachers at the center and is premised on the belief that teachers have the capacity to develop and enact the changes necessary to improve teaching and learning for all students. Megin’s research and writing have been published in a number of journals, including Teachers College Record, the Journal of School Leadership, Educational Administration Quarterly, the Journal of Adolescent & Adult Literacy, Professional Development in Education, and the Journal of Staff Development. She served as an editor of Education Past and Present: Reflections on Research, Policy, and Practice, a volume celebrating the seventy-fifth anniversary of the Harvard Educational Review. Megin completed her master’s degree and doctorate at the Harvard Graduate School of Education. Prior to her studies there, she taught elementary school in California’s Bay Area. Sara Croll was an educator in Title 1 schools for 10 years. She has taught elementary, middle, and high school and served as a literacy coach, where she mentored and supported teachers. She earned her undergraduate degree at Loyola University Chicago, where she focused on service for others through philanthropy work with children locally and internationally. She earned her master’s degree in Curriculum and Instruction from the University of Phoenix and a master’s degree in Educational Leadership from The American College of Education. Sara joined Learning Sciences International in 2016, working on special projects for the content team and serving as the assistant to the CEO. She now works on the Technology Team as the Voice of the Customer Team Lead, where she keeps the needs of teachers at the forefront of her work. Sara has a focus on providing teachers with practical applications to see immediate impact in their classrooms and has presented on topics ranging from teaming to using daily data in Professional Learning Communities to form instructional decisions. Robert Crowe is one of the co-founders of Elevated Achievement Group, a professional development company dedicated to helping educators develop student ownership at all grade levels and at all types of schools. The focus on student ownership is reflective of his years of experiences in the professional development world. 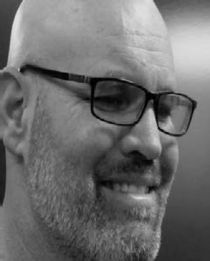 Crowe began his tenure in education as a bilingual teacher in Southern California in the early ‘90s, when he worked with English learners at all proficiency levels. He then began working directly with teachers and was an instructional coach for a national professional development company. He has worked extensively across the United States supporting district administrators, school administrators, teachers, students, and parents at the elementary, middle, and high school levels to implement standards-based curriculum, instruction, and assessment. It was during these eighteen years as an instructional coach that he saw the value in motivating students to own their learning. He put some of this thinking into practice when he was the lead author on an intensive reading/writing program that supported older student two or more years below grade level. For the past few years he has helped develop accountability measures that support implementation of systemic change in those schools and districts that truly want to become student centered—by focusing on those practices that lead to student ownership. 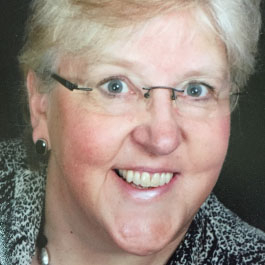 Patricia Denholm, EdD, was a successful director of curriculum and instruction, high school principal, and teacher before joining Learning Sciences International. She has taught at the middle school and high school levels and has more than two decades of administrative experience. Her last 10 years were spent as a district level administrator responsible for curriculum and teacher evaluation. Dr. Denholm’s passion includes working with school leaders, especially in the areas of teacher observation and evaluation.Dr. 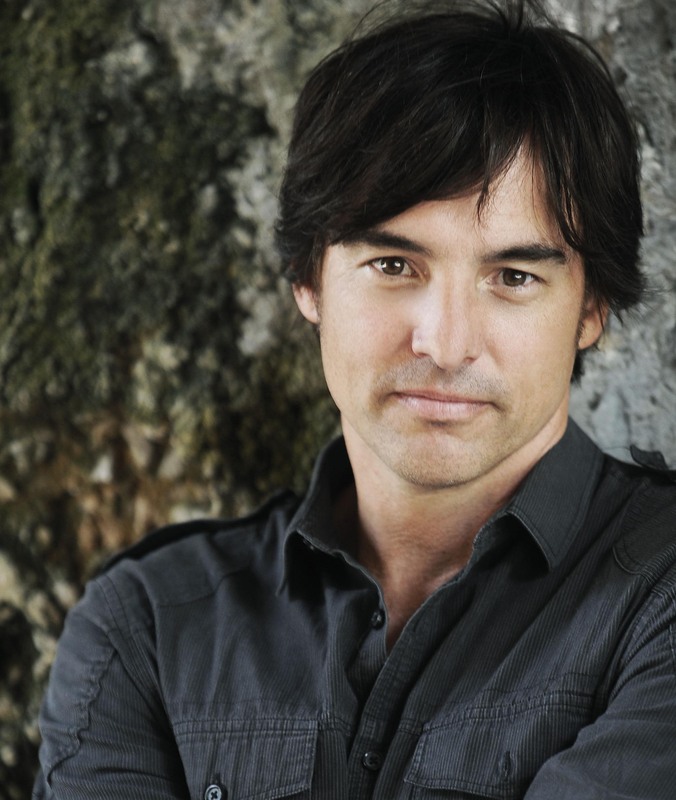 Denholm has also taught at the college level and holds a doctorate from Wilmington University. She holds a master’s degree in educational leadership from Rowan University. 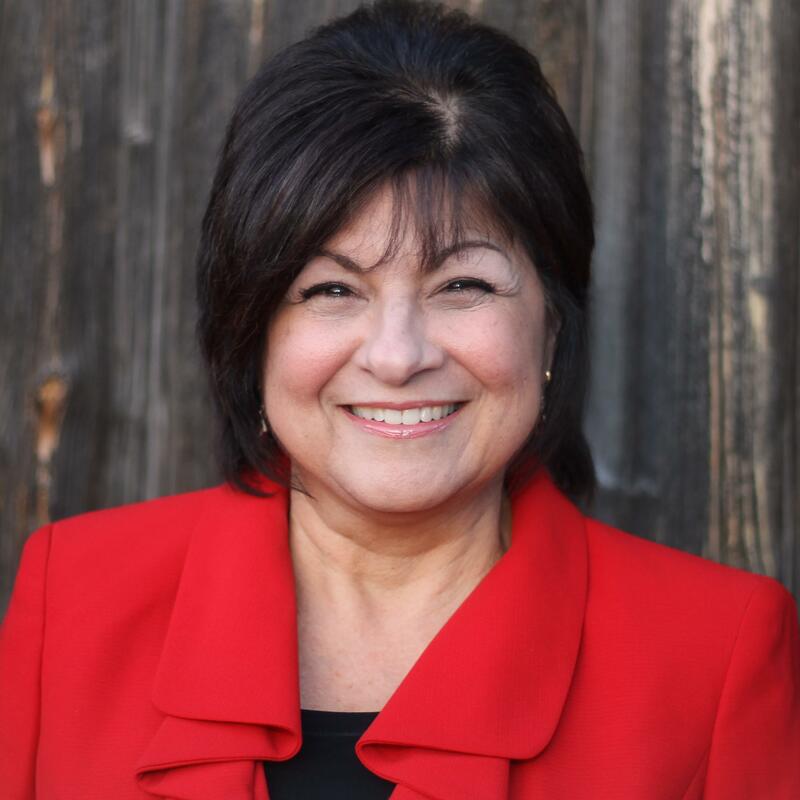 Debbie Godsen DePalma has extensive educational experience, focused in the area of literacy. Debbie has work at the school, district, regional, state and national levels to support students and teachers achieve success in literacy. Throughout her 20+ years as an educator, she has served as a Teacher, Literacy Specialist, Adjunct Professor, Curriculum Coordinator for Literacy and Integrated Content Areas, Regional Reading Coach, Literacy Specialist for the NYS Reading Resource Center and Literacy Consultant. Debbie has presented widely to support current research and applied practice to enhance literacy instruction at both the national and state level. As a Literacy Consultant, her work has focused on supporting schools through conducting needs assessments, instructional coaching, staff development and curriculum mapping. 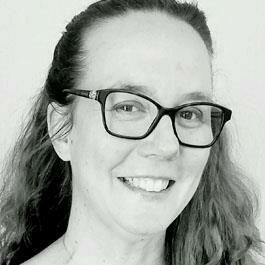 Christina L. Dobbs is an assistant professor of English education at the Wheelock College of Education and Human Development at Boston University. Christina's research and teaching focus on adolescent academic language, disciplinary literacy, and teacher professional learning, and her work can be found in the Journal of Adolescent and Adult Literacy, Professional Development in Education, Reading and Writing, Reading Research Quarterly, and the books Investigating Disciplinary Literacy and Humanizing Education. 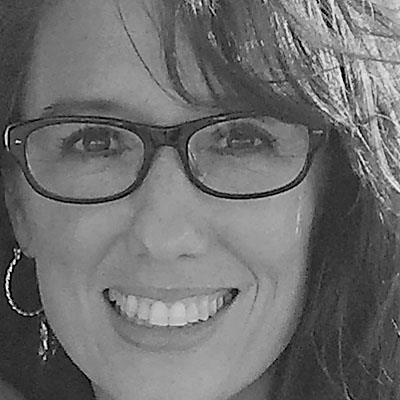 Amy M. Dujon is the author of The Gritty Truth of School Transformation. A former Director of Leadership Development, and passionate instructional leader, as principal, she led a successful transformation and draws from her experience to lead by example. She shares tips and research-based strategies for implementing rigorous classroom instruction and empowering school leaders to establish and grow an instructional vision of excellence involving both teachers and students on the path to success. She is relentless in her focus to grow herself and others with a focus on purpose, practice, and passion. Dujon holds a MS.Ed, in educational leadership, a BA in drama education, and is currently pursuing her doctorate. Tracy Duval has been in the field of education for over 20 years. Her career in education began as a paraprofessional and since then, she has spent many years serving students and teachers in various capacities. Her educational expertise ranges from writing curriculum at the school and district level, developing professional development for teachers, analyzing data to determine trends and helping to create plans to meet the needs of all students. When Mrs. Duval is not busy offering training through LSI, she works with graduate students at Johns Hopkins University. Mrs. Duval received her Master's Degree from Florida Gulf Coast University in Special Education and her Educational Specialist Degree from Nova Southeastern University in Educational Leadership. Heather Ehlschide has over 12 years of classroom experience working with students from diverse backgrounds at both Title 1 and Non-Title 1 schools. 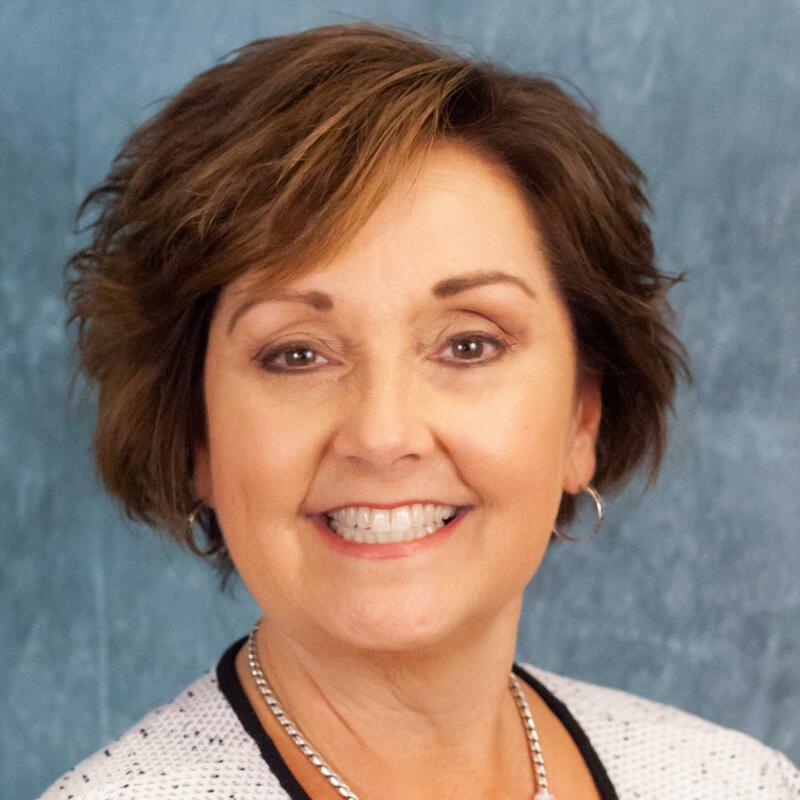 She has held many leadership positions in Kentucky and Florida school districts, such as K-6 Writing Coach, Student Technology and Leadership Coordinator, New Teacher Induction Coach, Team Leader, and PLC Leader. 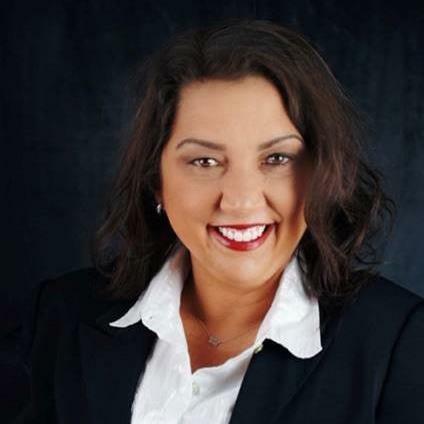 Heather earned her master’s degree in Educational Leadership and Endorsement in Instructional Technology from Murray State University in 2012. 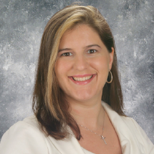 Prior to working with Learning Sciences International, she taught at Calusa Elementary School, a Marzano Demonstration School of Rigor, and was a participant in the Learning Sciences International Tracker Pilot Program. She is passionate about working with other educators to collaborate and grow their expertise and instructional practices. Mrs. Geri Fishman earned her degree in Psychology and Elementary Education from Muhlenberg College in Allentown, PA. Geri has over 14 years experience teaching in upper and primary elementary classrooms. 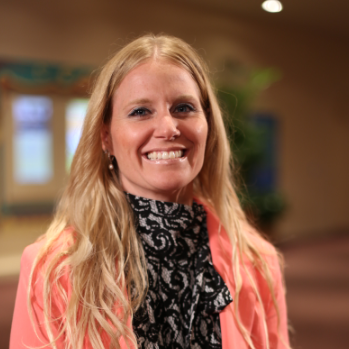 She currently teaches third grade in Palm Beach County at Calusa Elementary, an LSI Schools for Rigor demonstration school and Marzano Model School of Rigor. The focus of Mrs. Fishman’s participation with LSI targets instructional practices and strengthening her teaching craft. Mrs. Fishman thrives on working cooperatively with others and enjoys sharing learning strategies and student growth with her colleagues. 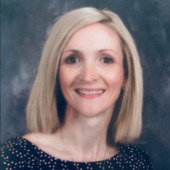 Michelle Fitzsimmons is an experienced Curriculum Coordinator, district- and building-level administrator, instructional coach, reading specialist, and teacher. She is also a National Staff Developer and member of the Learning Sciences International Curriculum Team. As a member of the curriculum team, Michelle assists districts in developing standards-aligned lessons and units in English language arts, K-12. Prior to accepting the position as Staff Developer for Learning Sciences International, Leslie saw the benefit of facilitating rigorous learning experiences using LSI’s research based best practices in her classroom. This led to coaching teachers and leaders on this same quest as a Professional Development Specialist in her district. In this ever-changing profession, Leslie stays consistent with her passion for inspiring teachers and leaders to develop their craft. She strives to foster an environment of collaboration and growth with those she serves by validating the work that has been done, challenging stakeholders to reflect on their current practice through analysis of student outcomes, and ultimately to do better each and every day to prepare all of our students for a future we can’t yet imagine. Jackie Galloway studied Elementary Education at the University of Florida. After graduating, she moved back to South Florida to pursue her career in education. It took 2 long years to land a teaching position due to job shortages and budget cuts. She worked as a VPK teacher for almost 3 years and served as the Assistant Director of the preschool in her final months there. Although teaching preschool proved to be a tremendous learning experience, her goal was always to teach Kindergarten in the public school system that she grew up in. In 2014, Jackie began teaching Kindergarten at a Title 1 school in Delray Beach, Florida. After one year, she was excess-ed because of low student enrollment and moved to her current school Calusa Elementary in Boca Raton, Florida. She was part of the pilot team to use the LSI Standards Tracker and Growth Tracker at Calusa. This is her 5th year as a Kindergarten teacher and she looks forward to continuing to grow and learn new skills each year. 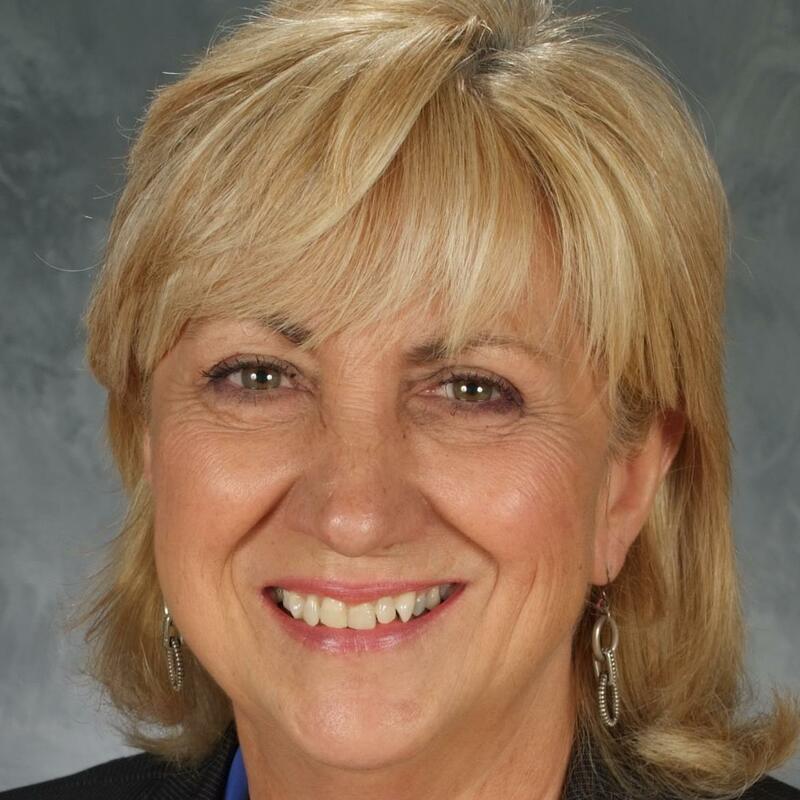 Joan McCormick Gibbons, MSEd, is a leading expert in school leadership and instruction. She works as a staff developer with Learning Sciences International with a focus on teacher evaluation, classroom observations and guiding schools for reform. Her background in education with 34 years of service involve classroom teaching, district and school administration, principal mentorship programing, and professional development in teaching and learning. Joan has been a teacher, assistant principal, principal, interim assistant superintendent, professor in math methods, trainer in classroom walkthoughs and instructional leadership team initiatives, and mentor to both aspiring and new principals. These experiences give her depth and in supporting schools striving for implementation of research-based instruction and evaluation models. 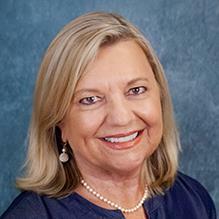 Joan holds active professional certifications in elementary education, K-12 school leadership and K-12 Principalship. She earned her undergrad degree in elementary and middle school science education from the University of Central Florida, her master’s degree in educational leadership and all doctoral coursework in school leadership and curriculum from Florida Atlantic University. 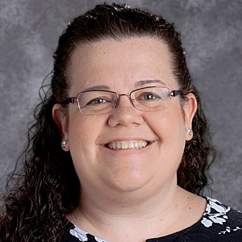 Mrs. Gibbons’ passion includes working with teachers and school leaders, especially in the areas of standards-based teaching, instructional improvement and school leadership teamwork resulting in building growth in teaching and learning. Marian Going Grill is a Curriculum Assistant Principal at Edward Hand Middle School for the School District of Lancaster in Lancaster, Pennsylvania. For the past two years, Edward Hand Middle School had been a Demonstration School for Rigor. Marian has been working closely with Heather Ehlschide on the Growth Tracker experience. During her 17 year tenure, Marian has been an Academic Dean, Instructional Coach, Literacy Specialist and English Language Arts teacher in both middle and elementary school. Marian is currently working on her Doctorate from Widener University with a concentration in Educational Leadership. She recently completed Leading Change Certification in School Management and Leadership from Harvard University; and is a member of Kappa Delta Pi, the International Honor Society in Education. She completed her Master’s in Education from Millersville University. In her spare time, she enjoys traveling, shopping at consignment stores, cooking with (for) her family and is an ice hockey mom. Greetings fellow educators! My name is Emily Gulley and I have been teaching now for 10 years. I have taught English grades 9-12 as well as History in Polk County, Florida. I have spent most of my years teaching at a career academy in Lakeland, FL. I am married to another amazing educator named Jon and we have two sons, ages 5 and 8. When I’m not in class, grading papers, writing lessons, or attending professional development sessions, I enjoy socializing with friends, cooking, reading, and traveling. I am also a group travel leader with EF. This past summer I traveled with a group of 23 students to Ireland, Wales and England. This summer, I will spend 11 days exploring Spain with a student group as well. Britt Hartle serves as a User Experience Researcher for the Information Systems team at Learning Sciences International (LSI). 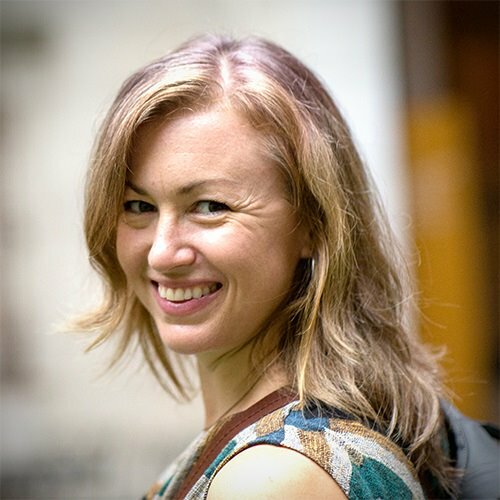 She has worked on the Tracker platforms gathering user feedback from the field and works closely with Staff Developers to create powerful software for today’s educators. She has spent seven years teaching adults in various capacities within and outside of LSI. Britt was nominated as Outstanding Faculty of the Year at Westmoreland College and has taught a diverse population of students including English language learners. Britt holds a Master of Arts in Adult Education and Communications Technology and a Bachelor of Arts in English from Indiana University of Pennsylvania. Jody Honaker is a Faculty Coach and Staff Developer with Learning Sciences International. Currently working as Faculty Coach in Osceola County and Polk County in District Managed Turnaround Projects. Jody has spent her entire professional career - 2 decades - in Educational Transformation, advocating her core belief that all children deserve a chance for a successful future. Jody is originally from West Virginia. She has called Palm Beach County her home for over 25 years. Jody has one teenage daughter, Grayson. Jacy Ippolito is an associate professor in the School of Education at Salem State University, Salem, Massachusetts. Jacy’s research and teaching focus on the intersection of adolescent and disciplinary literacy, literacy coaching, teacher leadership, and school reform. Jacy is specifically interested in the roles that teacher leaders, principals, and literacy coaches play in helping institute and maintain instructional change at middle and high school levels. Jacy continues to conduct research on adolescent and disciplinary literacy, literacy coaching, teacher leadership, and school reform while also consulting in K–12 schools. Results of Jacy’s research and consulting work can be found in a number of books and journals (including The Journal of Adolescent & Adult Literacy, The Journal of Staff Development, and The Elementary School Journal). Recent books include Adolescent Literacy in the Era of the Common Core (2013) and Adolescent Literacy (2012), both by Harvard Education Press. Jacy completed his undergraduate degrees in English and Psychology in the University of Delaware’s Honors Program, before completing his master’s and doctorate in language and literacy at the Harvard Graduate School of Education. 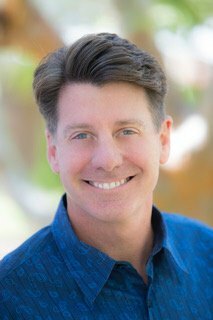 Prior to his work in higher education, Jacy taught in the Cambridge Public Schools, Cambridge, Massachusetts, as a middle school reading specialist, literacy coach, and drama teacher. Thus began his professional interest in the roles, responsibilities, and impact of literacy leaders and coaches. Carla Johnson is proud to be from a Hoosier family in which she is the fifth generation of Educators. This is her 32nd year of serving as an educator in Lawrence Township. In 2016 Carla Johnson was named Administrator of the Year in Lawrence Township. Carla is the former principal of Mary E. Castle School of International Studies. While at Mary Castle she led the beginning stages of school transformation of rigorous practices in a richly diverse community. Carla began her career teaching 2nd and 3rd grade, and then became an Assistant Principal. A highlight of her teaching experience was organizing the French Back to Back program in which she was responsible for the welfare and curriculum of 18 fourth and fifth graders that traveled to Southern France for three weeks. Carla holds a Bachelor of Arts in Elementary Education from Purdue University as well as a Master of Science Degree in School Administration from Indiana University, Indianapolis. She attended her first Marzano National Conference in 2016, and presented in 2017 as a principal. In 2015 Carla was a nominee for the Center for Leadership nominee Educator of Distinction. Mrs. Johnson is a member of Alpha Kappa Alpha Sorority Inc.
Jane Kennedy is a co-founder of Elevated Achievement Group. She founded this professional development company with the express desire to focus on supporting educators as she feels they need to be supported—with a collaborative approach instead of a top-down approach. This desire to work cooperatively and collaboratively with teachers, coaches, and administrators stems from her varied experiences over the past twenty-five years in education. Kennedy began her career in 1991 on the East Coast as a self-contained classroom teacher in an inner-city, urban setting with the majority of her students receiving Title I support and free and reduced-price lunch. This initial experience infused Jane with a passion for educational equity that has influenced her subsequent career focus. This focus led her to begin consulting work with a national textbook publisher where she supported adults at all levels in the educational system. This work included support all types of districts—urban, suburban, and rural—as they implemented the latest curriculum, managing a team that worked directly with administrators and teachers, and developing processes that successfully supported the implementation of research-based reform. She has taken these skills and has developed processes that support the implementation of research-based reforms that focus on increasing student ownership. 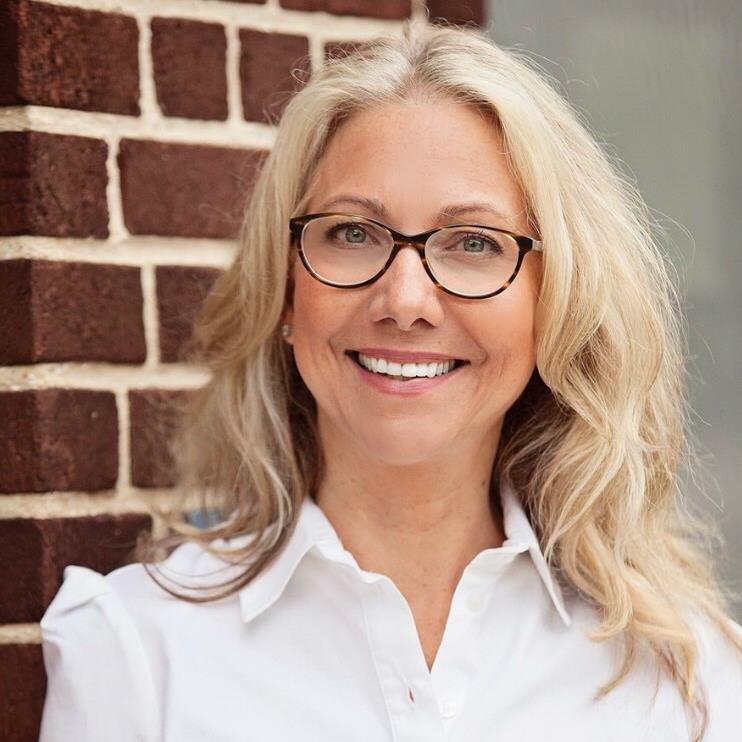 Rebecca Koelln, PhD, serves as Director of Leadership Development and Senior Consultant for LSI, specializing in helping executive leaders design cutting-edge solutions for their districts and schools. As a veteran educational leader, administrator and teacher, she began collaboration with Learning Sciences International in 2010, and now Rebecca guides a team of committed practitioners who focus on continuous improvement and deep implementation for instructional excellence. Dr. Koelln has served as a designer of professional development at all levels of education, presenting research at international, national, and state level conferences, while providing solid structures for faculty and staff from which to sustain organizational growth. Her deep knowledge of instructional leadership supports district leaders to position services and solutions that provide return on investment for sustainable change. Through Rebecca’s guidance, leaders are drawn toward effective implementation of innovative and evidence-based instructional practices. Rebecca’s contagious belief that the leader is the #1 learner invites leaders at all levels of the system to harness the possibilities of growth in each day’s opportunities. Stephanie LaPlante is the Director of Early Childhood for the Metropolitan School District of Lawrence Township in Indianapolis Indiana. Stephanie has been a Title I Director, Reading Recover Teacher Leader, Assistant Principal and Principal at the Early Learning Center and Elementary school levels. Her passion is Early Literacy and creating systems that ensure that students learn to become thoughtfully literate. Jillian Lee is a fourth Grade Reading Teacher at William D. Moseley Elementary School. Prior to Moseley, Jillian taught for five years, in both Third Grade and First Grade. As a LSI Teacher Mentor, Ms. Lee helps spearhead Moseley’s Coaching To Lead initiative working with fellow teachers in order to improve their instruction and deepen their understanding of the LSI teaching Techniques. As part of the school’s coaching and leadership team, she walks the walk, and believes that a positive attitude (coupled with a classroom structured around cooperative learning) will support long-term success for all students. 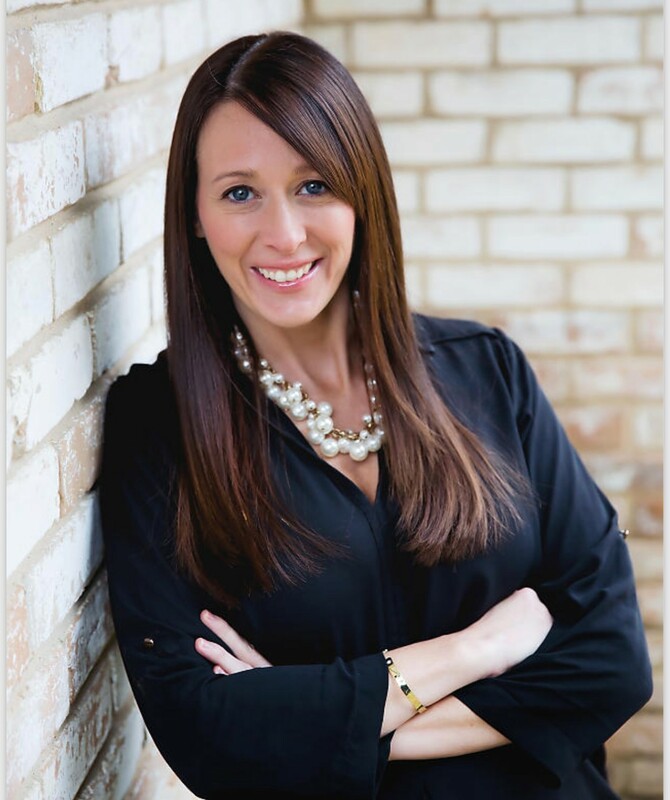 Jillian possesses a Bachelor’s Degree from Saint Leo University with endorsements in ESOL and Reading. David has over 40 years of experience in education. He has taught elementary, middle school and high school students in public and private schools as well as community college and teacher preparation courses in New York City and Vermont. David along with Meredith founded two innovative model schools in New York City. In 1985, they joined other teachers to found New York Prep, a junior high school in East Harlem. In 1991, they founded the Family Academy. David served as the school’s Principal and lead curriculum designer for the first twelve years of the school. During that time, in addition to overseeing the curriculum, staff and programs, David was responsible for developing the Family Academy curriculum, which now exists in part as www.Readworks. Articles by the Libens describing the school model and full curriculum have appeared in Educational Leadership and Phi Delta Kappan and will be the subject of an upcoming book. Since 2010, David has worked with Student Achievement Partners and has focused his work on publishers interested in making high quality, comprehensive ELA programs that are aligned to College and Career Readiness. He has also developed many training courses and has consulting and coached many districts and schools, working with educators on how to teach students to learn independently from complex text. David synthesized the research behind the CCSS and is currently, the Senior Fellow in Literacy at Student Achievement Partners. Meredith Liben works closely with states, districts, schools, publishers and organizations working to ensure strong student learning through implementation of the Common Core State Standards. She worked on the Common Core State Standards for ELA, leading the text complexity measurement work, and was a member of the Common Core ELA Working Group. 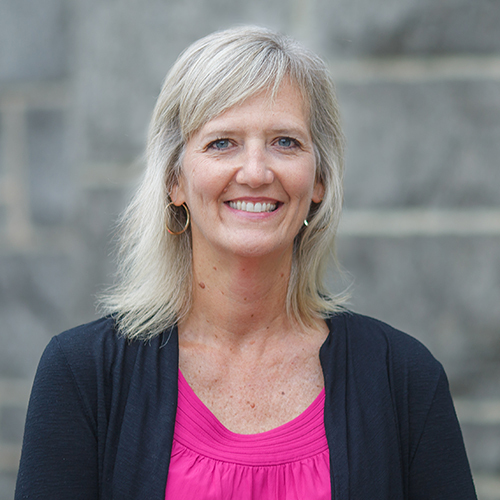 Meredith has taught in a wide range of settings over the past 30 years, spanning kindergarten through grad school. Most recently, she taught embedded literacy content to rural CTE students. In addition, she was an adjunct at Community College of Vermont, and taught reading and writing instructional methods courses to new teachers transitioning from industry to the classroom. Recently, she had a chance to combine her expertise in CTE and the Common Core as a member of the Promoting College and Career Ready Standards in ABE taskforce. The work of that group resulted in the publication of College and Career Readiness Standards for Adult Education. In the 1980s and ‘90s, she founded and taught in two schools in Harlem, New York Prep and the Family Academy, the latter a full service school that achieved high academic outcomes for neighborhood students. She has a master’s degree in Teaching of English with a concentration in Rhetoric from City University of New York and a bachelor’s degree in Classics and Government from Oberlin College. 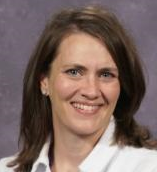 Kirstie Lickliter, M.Ed, is a staff developer for Learning Sciences International. With 17 years of experience in an educational setting, her background includes work as a teacher, literacy coach, and curriculum support specialist. Kirstie is a graduate of University of Southern Mississippi and earned her master’s degree from Florida Atlantic University. She is committed to supporting educators as they implement rigorous standards-based instruction. For Lisa Lienemann, MSEd, the power to change young people’s lives for the better has been driver in her career during which she has taught at all levels from elementary to post-secondary. She has served as an instructional coach and facilitated a district-wide instructional change initiative focusing on formative assessment. She accomplished her graduate work from Salisbury University and has maintained her relationship with her alma mater through both The Eastern Shore Writing Project and adjunct work in the Department of Education Specialties. 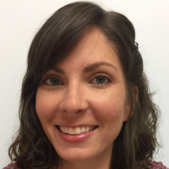 In addition, she was on the development team for the Maryland Collaborative Model for Peer Coaching, a state-wide initiative that sought to improve 21st century teaching practices, support deeper learning, and foster collaboration. 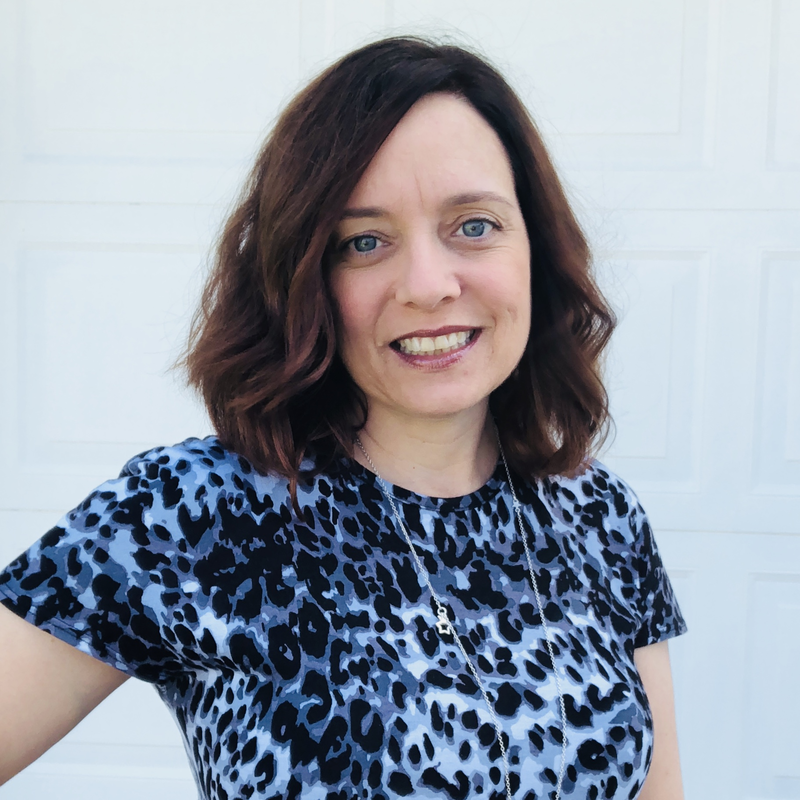 As a part of the LSI team, Lisa combines her passions for connecting with fellow educators in presentations and transforming pedagogy. Dr. Gwyneth Marr will be joining Learning Sciences International as a leadership coach after a 15 year journey in the public school setting. She holds a B.A. in Physical Education and a minor in Psychology with a K-12 teaching endorsement from Albion College in Michigan, a M.A. in School Leadership from Concordia University in Chicago and an Ed.D. from University of Illinois Chicago in Urban School Leadership. Dr. Marr spent the last 13 years in Chicago Public Schools with experience in K-12 as a lead teacher, dean of students, project manager, assistant principal and principal. Her work has been in a variety of settings with much of it in turn-around schools. In addition to leadership, Dr. Marr has a passion for equitable schools. While in Chicago, she created an equity PLC and partnered with Chicago United for Equity. As a team member in LSI, Dr. Marr is thrilled to be joining other motivated and passionate educators to ensure we provide highly rigorous and engaging learning for all students. Kathleen Marx, MSEd Administration, MSEd School Counseling,(Miami University and University of Dayton) has worked closely with the Learning Sciences International team in developing content to help educators manage the current demands in the field of education and in training other staff developers in this work. Her background of classroom teaching, special education support, gifted education consulting, school counseling, and building leadership/administration gives her unique insight into the needs of teachers and leaders. She assists teachers, building leaders and district leaders to examine and support what works in their schools and to implement research-based best practices to help them create meaningful change to impact student learning. 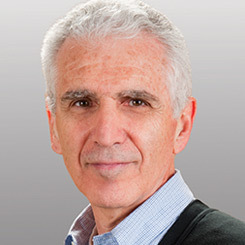 Dr. Robert J. Marzano is a nationally recognized education researcher, speaker, and trainer. He has authored more than 30 books and 150 articles on topics such as instruction, assessment, cognition, effective leadership, and school intervention. His books includeTeacher Evaluation That Makes a Difference (co-authored with Michael D. Toth), School Leadership for Results: Shifting the Focus of Leader Evaluation (co-authored with Dr. Beverly Carbaugh and Michael D. Toth), and The Art and Science of Teaching, and he is co-author of the Essentials to Achieving Rigor book series. Dr. Marzano is internationally known for his practical translations of research and theory into classroom strategies. He received a bachelor’s degree from Iona College in New York, a master’s degree from Seattle University, and a doctorate from the University of Washington. He is Executive Director of Learning Sciences Marzano Center, which specializes in deep implementation of continuous-teacher-growth systems and research-based educator evaluation systems. Dr. Marzano is the executive director of the Learning Sciences Marzano Center, partnering with Learning Sciences International to provide the Marzano Teacher Evaluation Model (adopted by school districts in all 50 states), the Marzano Center Non-Classroom Instructional Support Personnel Evaluation Model, the Marzano School Leader Evaluation Model, and the Marzano District Leader Evaluation Model for a fully aligned and comprehensive evaluation system. All the Marzano models are supported by the iObservation technology platform to promote a culture of excellence in today’s schools and districts. 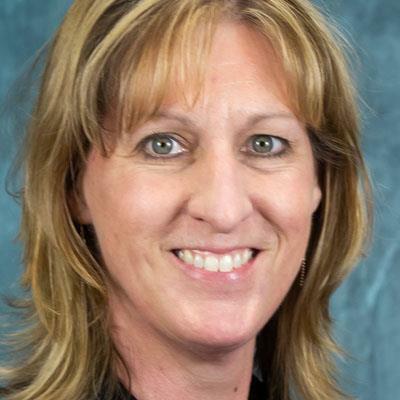 Valerie McClellan is the Assistant Director of Instruction for the Evansville Vanderburgh School Corporation in Evansville, Indiana. Her primary job function is to support the LSI Schools for Rigor within the corporation. Specifically, through supporting instructional coaches, she works towards her belief in high, rigorous expectations for all students. Valerie holds a Bachelor of Science Degree in Elementary Education, with a kindergarten minor and a Masters of Science Degree in Elementary Education, with an emphasis in Special Education. Additionally, she was a member of the Indiana University administration cohort and completed course work leading to a building level administrator certification. Valerie spent a year teaching at a university in Southern China and has had the opportunity to work in and observe a variety of classroom settings throughout her career. Her experiences include general education, special education, and alternative education in a variety of grade levels, ranging from kindergarten through eighth grade. Valerie has had coaching positions both at the district and building level and continues to be passionate about helping to develop leaders. 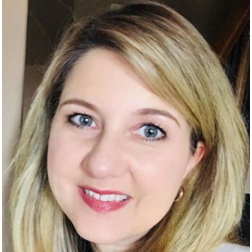 Prior to being named the Principal of William D. Moseley Elementary School in Putnam County, FL, Sarajean McDaniel brought with her six years in the district as an Elementary Principal, and 10 years as a classroom teacher, Math Coach and school-level Literacy Coach. She has extensive professional development experience as a trainer for FRI, SUMS (Students Using Math and Science), and NEFEC. In her tenure at Moseley, Sarajean has been successful moving the school from lowest performing building in the state, to a model school state for LSI. Through hard work and cooperative planning and learning, Ms. McDaniel changed the culture of Moseley from ‘broken’ to a place of ‘joy and success’ that is owned by both teachers and students. In supporting such innovative ideas as Coaching to Lead and the Voices of Moseley, Sarajean and her Administrative team strive to leverage the expertise within the Moseley community to promote substantive, second order change that supports the social-emotional development of ALL students. Mrs. McDaniel holds a bachelor’s degree in Elementary Education and a Master’s in Educational Leadership from the University of North Florida. James R. Mills, MEd, currently serves as a Practice Leader within LSI’s School for Rigor Practice Area. James has served as a principal, assistant principal, and middle- and high-school teacher in the areas of English language arts, reading, and social studies. At the district level, James has served in the roles of Director of Education Transformation Operations and Chief Academic Officer. 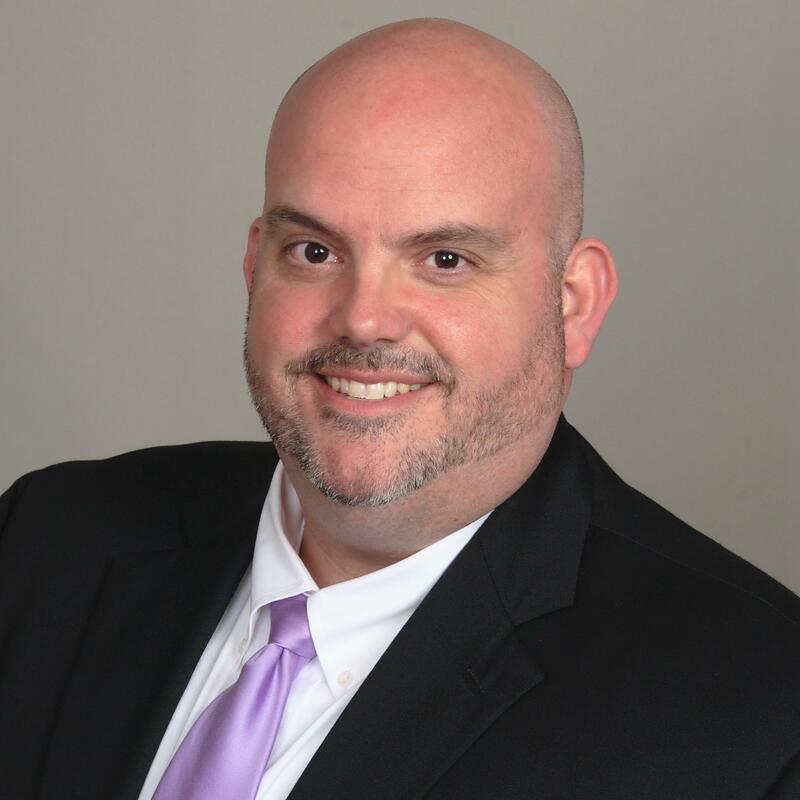 He has also worked as a Regional Reading Coordinator with the Florida Department of Education’s Differentiated Accountability team, and most recently served as Senior Educational Program Director for the Bureau of School Improvement at the Florida Department of Education. James’ passion for school improvement is anchored by a strong emphasis on the creation and implementation of systems and processes that grow educators and increase student achievement. Other service areas include budgeting, grants management, federal programs, policy analysis, professional learning communities, and standards implementation. In several of his roles, James has worked with district and school leaders to integrate English language arts, mathematics, and civics content into career and technical education programs and courses. With a keen eye to civic, career, and college readiness, James has dedicated his work to serving students and creating environments that foster growth for all. 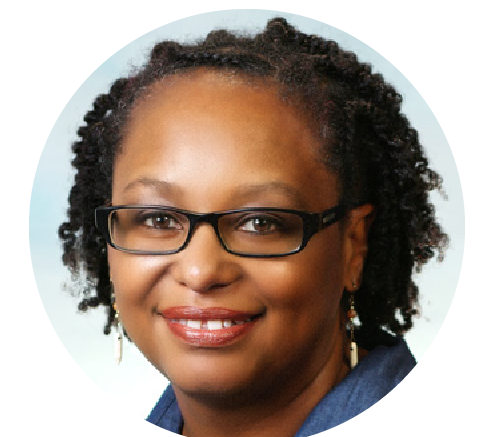 An experienced professional developer, literacy coach, teacher, and administrator, Carla Moore, MSEd, is a National Practice Leader for Curriculum and a member of Applied Research Center for Learning Sciences International (LSI). Carla leads a team of curriculum experts in developing, facilitating, and helping transform districts and states on standards-aligned curriculum systems. She is nationally recognized for her commitment to K–12 education. In her current role as a thought leader at LSI, she has coauthored award-winning books with Dr. Robert J. Marzano on Creating and Using Learning Targets and Performance Scales: How Teachers Make Better Instructional Decisions and Dr. Robert J. Marzano and LSI CEO Michael D. Toth on The Essentials for Standards-Driven Classrooms: A Practical Instructional Model for Every Student to Achieve Rigor, as well as a number of research papers. Ron Nash is a graduate of Clarion State College, now Clarion University, in Clarion, Pennsylvania, where he obtained his B. S. in Ed. and a Master of Arts in History. As a social studies teacher, Ron taught every grade level from 7 through 12 in Pennsylvania and Virginia. He served as Middle School Social Studies Coordinator for the Virginia Beach City Public Schools from 1994 to 1998, when he moved to Organizational Development for the same district. Retiring in 2007, Ron formed Ron Nash and Associates, Inc., a company dedicated to continuous improvement in schools and classrooms. Since 1994, Ron has presented at ASCD, Learning Forward, Eric Jensen’s Learning Brain Expo, and the NBPTS Conference. He has presented at dozens of state and regional conferences over the past 23 years. Ron is the author of several books, including two bestsellers, The Active Classroom and From Seatwork to Feetwork, both in second editions. Other titles include The Active Teacher, The Active Classroom Field Book, The Active Workshop, The Active Mentor, Harness the Power of Reflection, Shake-Up Call, and Collaborative School Leadership, with Kathy Hwang. 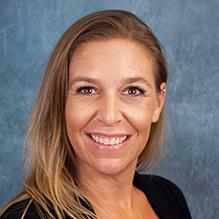 Renee Nellenbach has worked in several schools throughout Pinellas and Hillsborough Counties over the last 18 years. 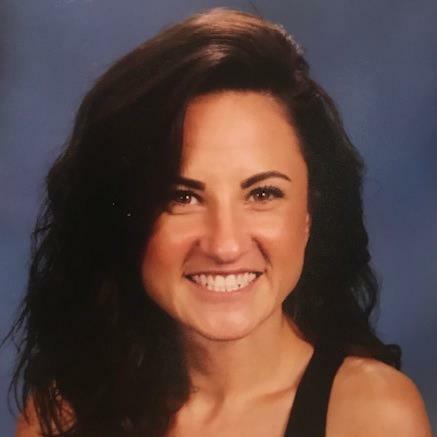 She began her career as a 6th grade teacher at Adams’s Middle School in Hillsborough County before accepting a position as a 5th grade teacher at Sandy Lane Elementary School in Clearwater. 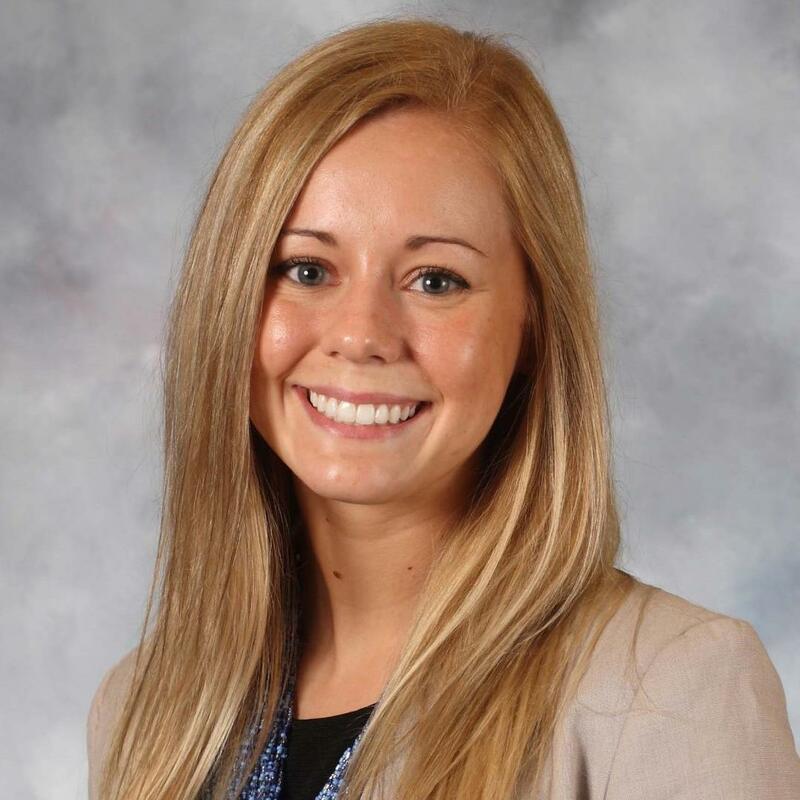 While serving as a classroom teacher, Ms. Nellenbach learned about the many academic and community support services that the Title I provides and applied for a leadership position as a Title I Facilitator. In 2011, she accepted her first position as an Assistant Principal at Fuguitt Elementary, in Pinellas and has since served as an Assistant Principal at three additional elementary schools in the county. Ms. Nellenbach has been at Lakewood Elementary for the last three years and is invested in the school’s turnaround process. She can already see the growth and energy for learning in the students and teachers at Lakewood this year. Erica is Executive Vice President & Chief Operating Officer of The Future Hunters, one of the world's leading futurist consulting firms. She evaluates emerging social, technological, economic, political, demographic and environmental trends - and identifies the strategic implications (the "So what?") of those trends for several of the most influential Fortune 500 companies, trade associations and public sector clients. Erica's ability to identify patterns, think critically and analytically, and translate that into actionable strategies is what has made her an invaluable asset to clients. Erica frequently speaks to a wide range of global audiences about trends that are shaping the landscape today, and has keynoted several large industry conferences. She has also authored numerous articles, book chapters, and industry white papers on cutting-edge, future-focused topics. 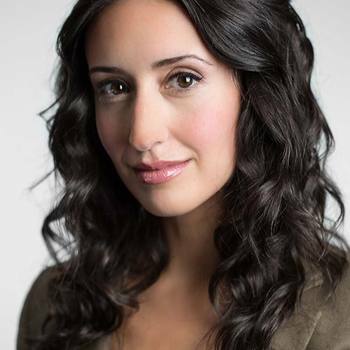 A frequent columnist and blogger, Erica is recognized in the industry as having a unique, innovative and fresh perspective. Erica currently serves as a Board member on the Career Advisory Board presented by DeVry University. She was also chosen as one of the first Susan Schiffer Stautberg Leadership Foundation Fellows, and was recently awarded 2016 Entrepreneur of the Year by Fashion Group International. For four years, she also served as Chair of the Adjunct Board of Directors for ThinkQuest NYC, an organization that brought technology to underserved New York City students. For the past two decades, Sarah has partnered with countless school districts and companies nationally and internationally. The focus is on reinforcing relationship skills and value-identification of the ever-growing ELL population while improving student outcomes and profitability within organizations. 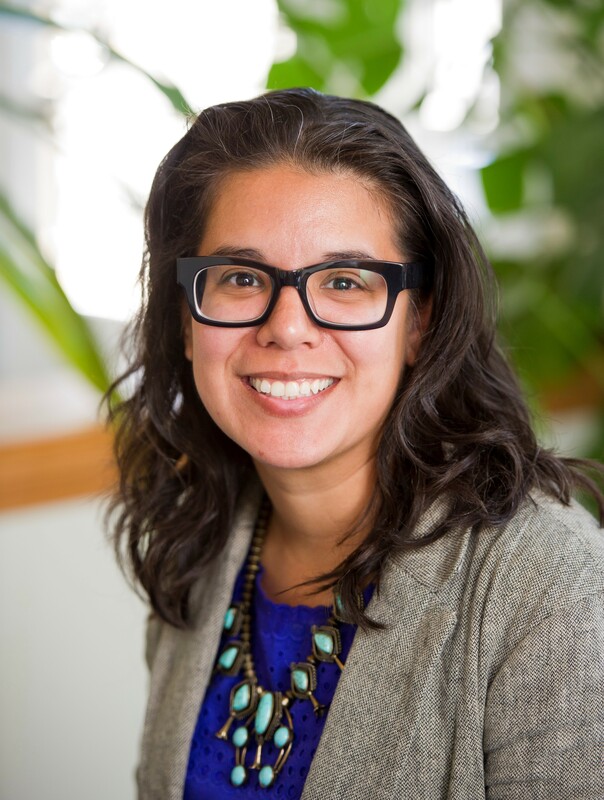 With Sarah’s extensive and diverse background in identifying needs of faculty, students, and employees coupled with her education in curriculum and social justice, she creates programs and tools tailored to the exact needs of each organization and population of English learners. Teacher Leader Team of FabFive Squadsters and resource collection for Teaching Channel's ELL Deep Dive, including the featuring of key Confianza clients' classrooms that have been filmed and shared around the world. Eric Paul currently serves as a Leadership Coach with LSI’s External Operator team in Florida. 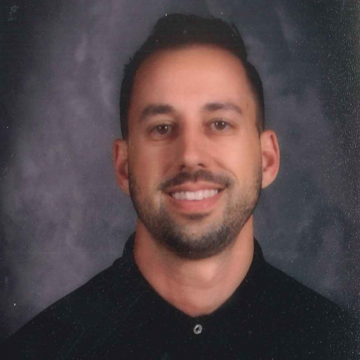 Eric has served as a principal at the elementary, middle and high school levels, assistant principal, and elementary, middle and high school teacher in the areas of Exceptional Student Education and Business Education. At the district level, Eric has served as an Area Director of School Accountability. He has also worked with two Charter School Management (CMO) companies in the positions of Regional Director and Vice President of Curriculum and Instruction. Eric’s passion for increasing student achievement for all students has led him to work directly with school leaders in multiple venues in an effort to improve leadership quality and capacity. Understanding that a strong, passionate, knowledgeable school leader is a necessity for school transformation, Eric views his work with coaching school leaders as a vital step for improving instruction and increasing student achievement for all students. Dr. Patricia Parker Perry serves as a Leadership Coach with Learning Sciences International (LSI) and she has spent 28+ years in education in Ohio and Kentucky. She has served in building level administration, as both an Assistant Principal and as Principal, and in numerous roles in central office administration including Director of Special Education, Director of Curriculum and Instruction, Assistant Superintendent, Executive Director, and Regional Superintendent. Through her work as the Professional Development Manager for the State of Ohio “Race to the Top”, Dr. Perry has also worked for the Department of Education in developing and implementing best practice workshops for the 480+ district participating in the state’s $400 million grant. Before joining LSI, Dr. Perry has spent the last decade working as a Senior Leadership and Policy Consultant, and as the Ohio Director for Sandy Hook Promise. She has traveled the United States training and mentoring both building and district leaders in the areas ranging from the development and implementation of teacher training initiatives (for both Regular and Special Education classrooms) including differentiated instruction, to effective instructional leadership in turn-around schools. Dr. Perry received her Ed. D. and M. Ed. graduate degrees in Educational Leadership, Policy and Administration from the University of Cincinnati, and her B.S. degree in Secondary Education from Miami University in Oxford, Ohio. Closing achievement gaps, creating racial equity, and leading for sustainable change are lifelong passions for Learning Sciences International Staff Developer Tammy Quist. With more than 25 years of experience as a teacher, principal, consultant, speaker, writer, and researcher, she now brings valuable expertise to schools throughout the country as she trains educators on the Marzano Teacher Evaluation Model and the Marzano Center Essentials for Achieving Rigor model of instruction. She also provides leadership coaching and development to principals and district leaders. Quist earned her B.A. in Secondary Education, Political Science, and Social Science from the University of MN-Morris; her M.S. in School Administration from Northern State University in Aberdeen, SD; and a Superintendent’s Endorsement in Educational Leadership through the University of Colorado at Colorado Springs. Tammy is currently a Doctoral candidate at Concordia University in Educational Leadership with a specialization in Transformative Leadership. She was named Teacher of the Year at the Keppel Union School District of California and nominated for Colorado Principal of the Year. Jennifer Reeves, EdD, believes a quality education paves the way to a better life for all children and has committed her professional life to the continuous improvement of instruction in schools. Since joining Learning Sciences International, Dr. Reeves, has had the joy of coaching talented principals to create schools where all students can experience rigorous and challenging learning in preparation for college or career. She began her career as a middle school teacher and has served in various school-based and district-based administrative positions, including principal and director of secondary schools. She spent more than 10 years as area superintendent in a large, award-winning urban school district. Under her leadership, schools demonstrated significant improvement in student performance as standards rose in the state of Florida. Since her retirement, Dr. Reeves has continued to work as a consultant and professional developer to support the growth of teacher and school leadership capacity. In addition to her district work, she has served as an adjunct professor at Nova Southeastern University and assistant professor at University of South Florida Polytechnic. She has presented at numerous conferences throughout her career and has authored and co-authored several publications, including Miss Lincoln Doesn’t Teach Here for which she received the Willam J.Davis Award from the University Council for Educational Administration. Dianne T. Rivelli-Schreiber graduated from Assumption College in Worcester, Massachusetts with a Bachelor's Degree in Psychology and Elementary Education. After relocating to Florida, she further pursued a certification in Gifted Education from St. Leo's College and obtained a Masters Degree in Educational Leadership from Florida Atlantic University. 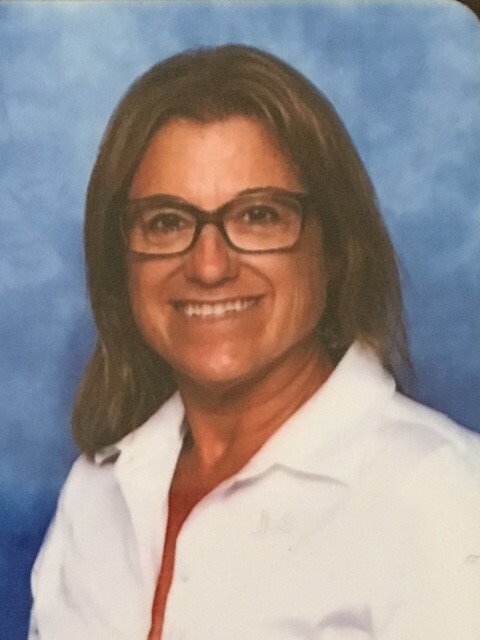 Dianne has been with the School District of Palm Beach County for 22 years as classroom teacher, Choice Program Coordinator, Assistant Principal, and Principal. She has been the Principal of Calusa Elementary in Boca Raton since 2016. Calusa is a National School for Rigor and partners with Learning Sciences International for teacher and program development. Dianne has experiences with implementing/facilitating PLCs for PLC Leaders, leading Look & Learns, using Trend Tracker during Rigor Walks, monitoring data and targets tracked using Standards Tracker, and promoting teacher growth with using the Growth Tracker. Dianne enjoys working with educators and colleagues through professional development to reach goals for improved student achievement. 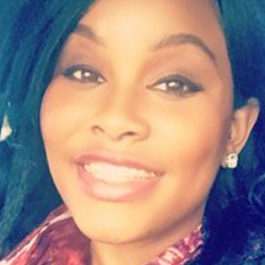 Kaija Robinson believes in the undeniable potential and success of every child everywhere. She is an educational researcher with district and state presentation experience. For over a decade she has been working with youth in high risk situations and has had the privilege of building life changing relationships with students and teachers. 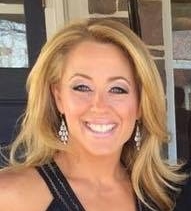 Her experience as a teacher, curriculum and instructional designer, district leader, and research into strategic instruction of best practice has given her the desire to ensure those with the most challenging of positions, are equipped to unlock the most influential methodologies of teaching; thereby embarking all students on the pathway of success. Her passion for the achievement of all students has fueled her success with turnaround schools in South Florida all while building the confidence and capacity of teachers. Hagit Sela, Ph.D., is a seasoned mathematics educator and professional developer. In her current position at Learning Sciences International (LSI) as Curriculum Faculty Mathematics Subject Matter Expert, she leads the development of math PD within the Standards-Driven Curriculum Practice Area. Dr. Sela started her math education career as a secondary math teacher. Her passion for improving math education sparked as she taught low-achieving students. She joined Magal, a curriculum development project for high-school low-achieving students, and co-authored several teaching and learning materials. Dr. Sela received her doctorate in mathematics education from the Technion – Israel Institute of technology. She completed her post-doctorate work at UMD within ThEMaT (Thoughts Experiments in Mathematics Teaching) – a project in which representations of teaching in the form of animations and comics are created to support teacher professional development. As a clinical assistant professor at UF, Dr. Sela lead PD for math teachers within SunBay, a technology-enhanced research project in Palm Beach and Broward districts, and taught graduate courses within the job-embedded Master’s program at UF College of Education. Dr. Sela has several research papers in math education. Her 2019 publication, Making Math Social with Dialogue Protocols published in NCTM’s Mathematics Teaching in the Middle School. A three-time teacher of the year, Penny Sell, MSEd, has a career that spans three decades, excelling in the roles of teacher, high school and district-level administrator, trainer, and consultant. She has dedicated the past decade of her career to coaching and training school leaders, providing vital expertise in promoting teacher proficiency and student achievement. She earned her bachelor’s degree in Exceptional Education from Central Michigan University and her master’s degree from University of Central Florida. Ms. Sell has worked very closely with Dr. Marzano and the Learning Sciences team in developing content and training new staff developers. With more than 15 years of education experience, Deana Senn, MS, is an expert in instructional strategies and classroom assessments. Her curriculum and instruction experience span the United States and Canada, in both rural and urban districts, from the school level to regional level. She actively develops content with the Marzano Center team and trains nationwide. She is a graduate of Texas A&M University and received her master’s degree from Montana State University. Ms. Senn recently co-authored three books with Dr. Robert J. Marzano: Identifying Critical Content, Engaging in Cognitively Complex Tasks: Classroom Techniques to Help Students Generate & Test Hypotheses Across Disciplines,Engaging in Cognitively Complex Tasks: Classroom Techniques to Help Students Generate & Test Hypotheses Across Disciplines, and Organizing for Learning: Classroom Techniques to Help Students Interact Within Small Groups. Matthew Smith is a native of Houston, TX and began his career in education with the Aldine Independent School District in Texas. He was also a secondary school principal in the Livingston and San Angelo school districts before becoming the principal of North High in Des Moines Public Schools in 2010. After leading North High school for three years, he served as Executive Director of Learning Services before being promoted to Chief Schools Officer in 2014. Smith has a BS in secondary education from Baylor University, a M.Ed. 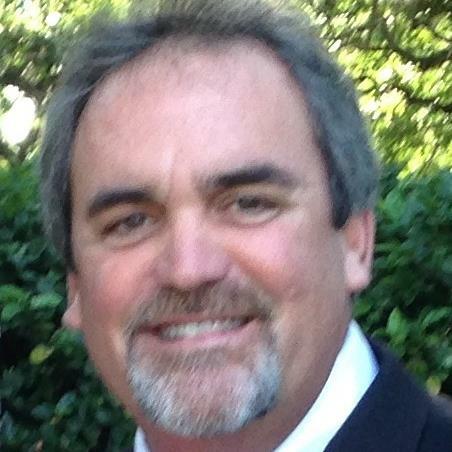 in educational leadership from Sam Houston University and received his Superintendent Certification in 2015. During Smith’s tenure at North High, students made academic gains in several areas including an increase in proficiency and an increase in the graduation rate, and for the first time ever North was ranked as a Top 50 school (28th) on the Iowa AP Index. He also oversaw the school’s implementation of a 1:1 technology program, making North High the largest school in Iowa where each student was provided with a laptop computer. North High has recently been selected as one of the College Board’s “Spotlight on Schools” for their efforts in increasing Advanced Placement courses, and has also just been named by the U.S. Department of Education as a “School of Focus” for its innovative use of School Improvement Grant funds for professional development. Dr. David A. Sousa is an international educational consultant and author of more than a dozen books that suggest ways that educators and parents can translate current brain research into strategies to improve learning. A member of the Cognitive Neuroscience Society, he has conducted workshops in hundreds of school districts on brain research, instructional skills, and science education at the pre-K-12 and university levels. He has made presentations to more than 200,000 educators at national conventions of educational organizations and to regional and local school districts across the US, Canada, Europe, Australia, New Zealand, and Asia. Dr. Sousa has edited science books and published articles in leading journals on staff development, science education, and educational research. Dr. Sousa has been interviewed by Matt Lauer on the NBC Today Show and by National Public Radio about his work with schools using brain research. Dr. Sousa has a bachelor’s degree in chemistry from Bridgewater State University in Massachusetts, a Master of Arts in Teaching degree in science from Harvard University, and a doctorate from Rutgers University. His teaching experience covers all levels. He has taught senior high school science and has served as a K-12 director of science, a supervisor of instruction, and a district superintendent in New Jersey schools. He was an adjunct professor of education at Seton Hall University for 10 years and a visiting lecturer at Rutgers University. Dr. Jackie Speake is a STEM geek… and proud of it. Dr. Speake loves science, technology, engineering, and mathematics and believes that everyone can learn through inquiry and habits of mind. Her 20-year teaching career ranges from high school teacher and coach, district curriculum specialist, Florida Department of Education science and mathematics program specialist, and senior administrator for curriculum and instruction. Dr. Speake has presented to administrators and teachers on inquiry, STEM, and embedding mathematical practices and literacy standards into content areas, including science, social studies, and Career/Technical Education. She holds a B.S. in Biological Sciences from the University of Maryland (go Terrapins! ), and M.Ed. in Secondary Curriculum/Instruction and a doctorate in Education Leadership and Policy from the University of South Florida (go Bulls!). 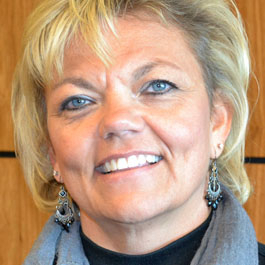 Sheree Stockwell is a principal at Jefferson Elementary School in Grand Island, Nebraska. Jefferson Elementary is one of three LSI Schools for Rigor Demonstration Schools in the state of Nebraska. Prior to this role, Mrs. Stockwell has served as a kindergarten paraprofessional, after-school club supervisor, substitute teacher, middle school English language learner teacher, middle school instructional coach, middle school dean of students, and middle school assistant principal. She loves working with students of all ages and teachers at all levels. 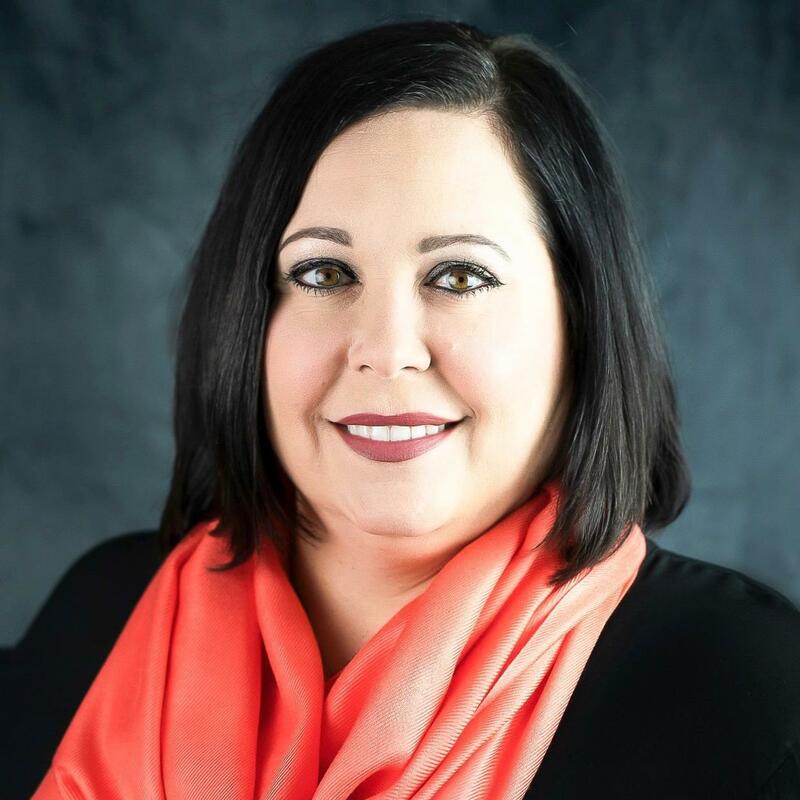 She earned her bachelor’s degree in education from the University of Nebraska-Lincoln, her master’s degree in educational leadership from Doane University and is working toward her educational specialist degree from Doane University. Leala M. Taylor, Ed.S., is a Staff Developer with Learning Sciences International and has over 25 years of experience in education. She began her career as an elementary teacher and has held positions as Director of Education, Assistant Principal, and Principal. She has two daughters and one grandson. Leala believes that the best part of being an educator is the opportunities to help and support others to grow professionally. Amy Thisse has a bachelor’s degree in Elementary Education from Florida Atlantic University and earned National Board Certification in 2001. 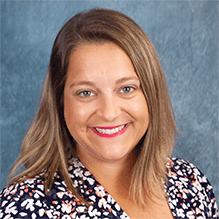 Ms. Thisse currently teaches at Calusa Elementary School in Boca Raton, FL, which is engaged in a Demonstration Schools for Rigor partnership with Learning Sciences International (LSI). The school is also a participant in LSI’s Tracker Pilot Program. Amy has over 20 years of classroom experience working with students from diverse backgrounds including teaching ESOL in primary and intermediate grades. She has participated in many professional development programs including reading curriculum adoption and leading a teacher collaboration program to support the needs of new teachers. She’s been a co-presenter at the Dylan Wiliam Formative Assessment National Conference and is passionate about collaborating with other educators to develop their expertise and instructional practices to create learning experiences that can empower and inspire them to provide innovating teaching for all learners. Michael D. Toth is founder and CEO of Learning Sciences International. Formerly the president of the National Center for the Profession of Teaching, a university faculty member, and director of research and development grants, Mr. Toth leads LSI’s Applied Research Center, keynote presentations, and advises education leaders on issues of core instruction, school improvement, leadership and teacher effectiveness, and talent development systems. He is the author of Who Moved My Standards? Joyful Teaching in an Age of Change: A SOAR-ing Tale, which received the 2016 Best Books Award in the field of education; and co-author, with Robert J. Marzano, of The Essentials for Standards-Driven Classrooms and other titles. David Tudor is a Staff Developer and School Leadership Coach with LSI. His 20-year educational career spans elementary, middle school, high school, and community mental health, and he has served as both a special education and general education teacher. David spent most of his career in the Pacific Northwest where he has led at the building, district, and state levels. He has vast experience in school improvement, Multi-Tiered System of Supports (MTSS), and change management. David is dedicated to empowering others and is a motivating and inclusive leader that builds capacity in others to sustain change. David is committed to closing the opportunity and achievement gap for all students, especially students with disabilities and those living in poverty. 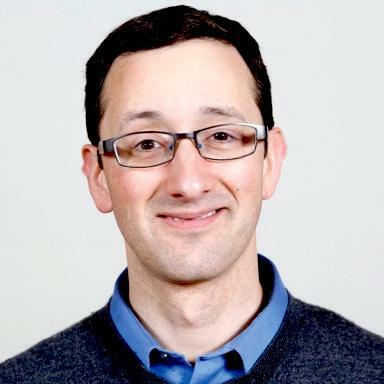 David holds a BS in Biology from The University of the South, a MAT in Special Education from Pacific University, and an administrator credential from Portland State University. Jake is trained as an LSI Certified Results Coach with past experiences as a part-time Mentor / classroom Teacher at the elementary level. 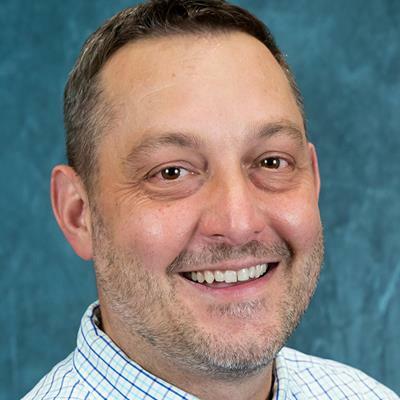 He holds a Master’s Degree in Educational Leadership from Western Governors University and a Bachelor’s Degree in Elementary Education from the University of Southern Indiana. 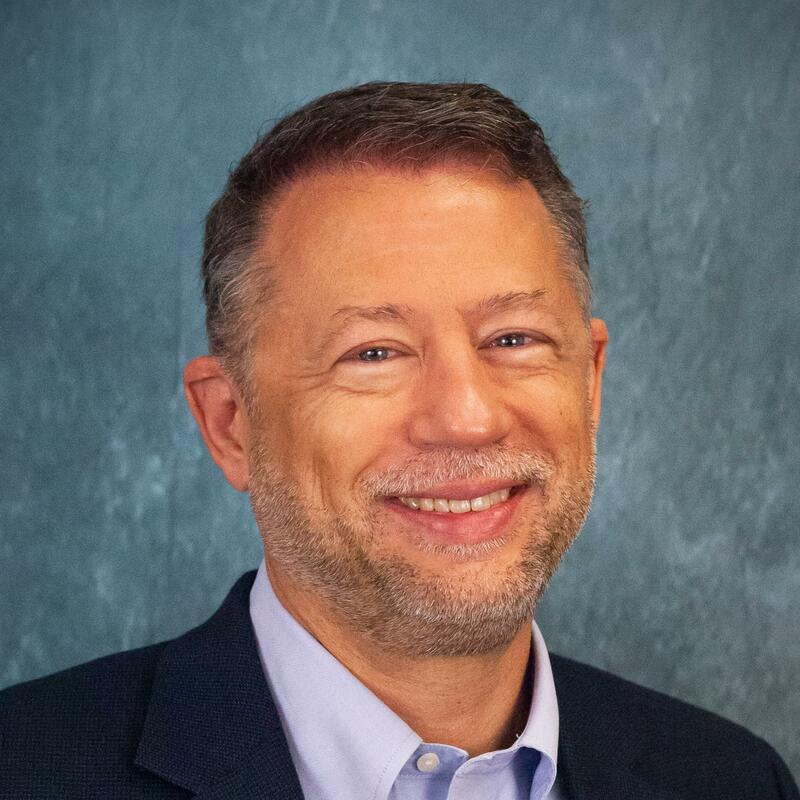 Daniel R. Venables is founder and executive director of the Center for Authentic PLCs, an independent consulting firm committed to assisting schools in building, leading, and sustaining authentic PLCs. 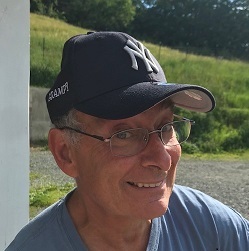 During his career of more than 30 years in education, Venables has been a classroom teacher in both public and independent schools in South Carolina, North Carolina, and Connecticut for 24 years, serving as a math department chair for 18 of those years. He was a professional development coordinator with the nation's 18th-largest district, Charlotte-Mecklenburg Schools. Daniel holds a master's degree in mathematics from Wesleyan University. In 1994, he was trained as a Math/Science Fellow with the Coalition of Essential Schools, where he began his working experience with PLCs. In 2002, he was named South Carolina Independent School Teacher of the Year. In addition to working directly with schools and faculties to offer on-site, ongoing, sustained support, he also presents regularly at national and regional educational conferences. Several times a year, he sponsors a three-day PLC coach training program throughout the United States called the Grapple Institutes. To learn more about the Grapple Institutes, contact Venables. In more than 30 years in public education, Peggy Voigt, Ed.S., has taught nearly all grades from K-8. She served as an elementary school principal, a middle school principal, and director of curriculum, instruction, and assessment. She also completed a short stint as an interim superintendent. 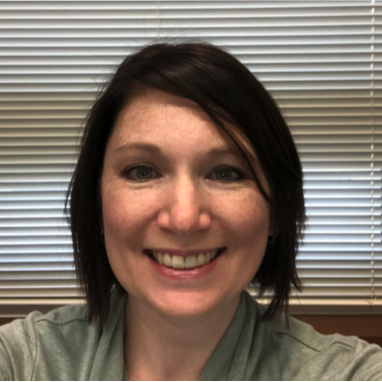 Ms. Voigt’s educational background includes undergraduate training at Michigan State University, master degrees in reading and early childhood education from Eastern Michigan University, and a specialist degree in educational administration from Oakland University. She is currently working on her dissertation for a doctorate in educational leadership from Eastern Michigan University. She has been working with Learning Sciences International and the Michigan Department of Education to support schools by monitoring their progress in implementing their improvement plans. Her passion is working with principals and teachers to create a climate for learning and improving instruction for all students. Watch Peggy Voigt describe her sessions at the Building Expertise 2016: Charting the Future. 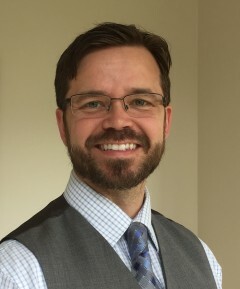 Dr. Nicholas Weatherly is an associate professor and chair of the Master of Arts program in Professional Behavior Analysis at Florida Institute of Technology’s School of Behavior Analysis. His areas of teaching, research, and practice focus on developing sustainable business solutions, coaching systems, organizational assessments, and training systems. 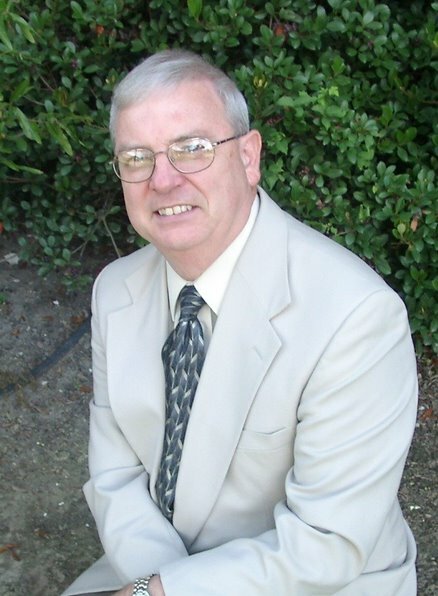 Prior to joining Florida Tech, Dr. Weatherly was a management consultant with Aubrey Daniels International where he led their instructional systems projects and consulted in a number of areas of business and industry including manufacturing, energy, banking, health insurance, and clinical services. Dr. Weatherly is the President of the Association of Professional Behavior Analysts and Past-President of both the Georgia Association for Behavior Analysis and the Kentucky Association for Behavior Analysis. He currently serves on the Editorial Board of the Journal of Organizational Behavior Management and continues to work on various workgroups and committees for the Behavior Analyst Certification Board. Recent efforts have included assisting in the draft of the new Professional and Ethical Compliance Code and in the development of the Code Compliance system. Dr. Weatherly has served as a member of the BACB Disciplinary Review Committee and is currently a Code Section Specialist for the BACB’s Code Compliance Committee. 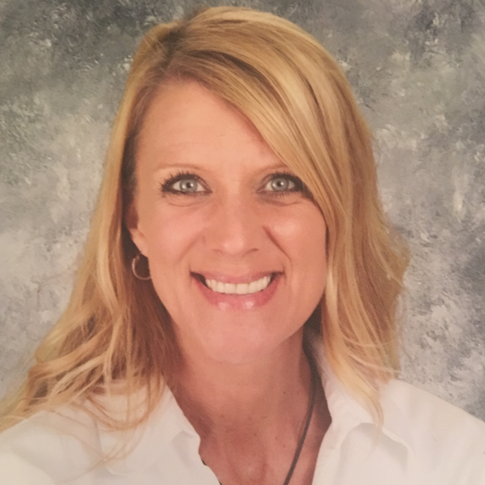 As the Instructional Coach for William D. Moseley Elementary School in Putnam County, FL, Michelle Wilds brings with her extensive experience in classroom best practice. Prior to her being Lead Coach at Moseley for the past two years, Michelle served the District for five years as Literacy Coach at Browning-Pierce Elementary, and six years as a Fourth Grade Teacher at James A. Long Elementary. in addition to supervising the school’s LLI program, all data disaggregation and analysis, and Moseley’s MTSS Intervention and Progress Monitoring, Ms. Wilds plans and implements all Professional Development for the building’s teachers and instructional support staff. Whether it is her role in organizing The Belize Teachers’ Conference and Dream School to overseeing The Voices of Moseley, Michelle’s mission has always been to work closely with educators to improve their instructional and intervention practices using data-driven assessment and planning. 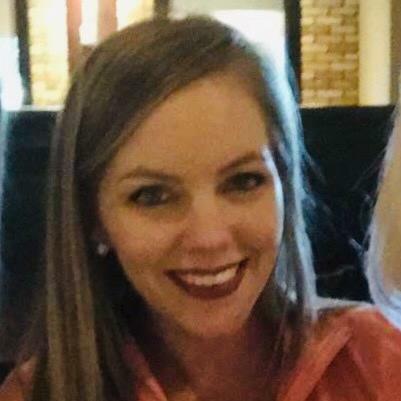 Ms. Wilds holds a Bachelor’s degree in Elementary Education from Valdosa State University, and a Masters Degree in Educational Leadership from Grand Canyon University. Kimberly Wood ,MSEd, followed her passion for working with children and pursued a career in education over 22 years ago. Throughout her career, she has grown a passion for learning about best practices in education. Kimberly began her career as an elementary teacher. She earned her Master’s Degree in Educational Media and Technology, and followed that path to excel as a Media Specialist. Driven by a love for helping others with professional development, she began to deliver school based trainings on topics such as technology, teaching strategies, and the evaluation system of the district as a school’s Curriculum Resource Teacher. Kimberly was encouraged to share her passion of learning by becoming a district coach for the Marzano Teacher Evaluation Model. Recognized for her skills in developing and delivering instructional content, she took on the role of as a district administrator over Elementary Math and the Instructional Framework. Working directly with schools, she helped to build capacity in standards based instruction. Kimberly received her degree in elementary education and Masters in Educational Media and Technology from the University of Central Florida. 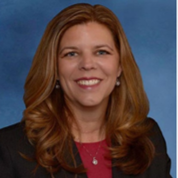 Stephanie F. Woodford currently serves as the Principal of Lakewood Elementary School in Pinellas County, Florida. Mrs. Woodford brings with her 28 years of experience in public education as a School Principal at both the elementary and secondary level, Manager of Personnel Services, Director of Evaluation and Compensation, and the Chief Human Resources Officer in a large School District which served over 200,000 students. 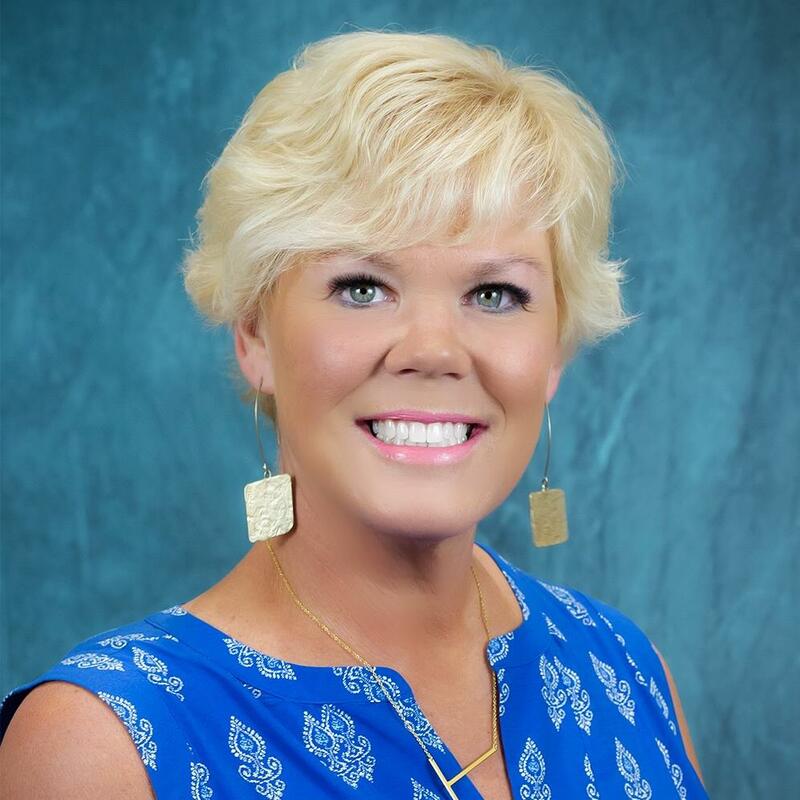 Mrs. Woodford holds a Bachelor and Masters Degree in Education from the University of Florida, and she received her Specialist of Educational Leadership from Nova Southeastern University.